Unless you’re such a committed (in more ways than one) astrophotographer or astro-videographer that you never do any visual observing at all, eyepieces are a fact of life. And for better or worse, muchachos, many Joe and Jane Amateur Astronomers determine the worth of an eyepiece by its apparent field of view. In other words, today wide fields = good, narrow fields = bad. Whether you think that is wise or not, the big AFOV 82-degree plus “ultra-wide” oculars rule the roost in the hearts of most amateurs. What brought this subject to mind? The brouhaha engendered by the release of Explore Scientific’s new 120-degree apparent field 9mm eyepiece. Oh, how an eyepiece no one had seen—much less used—was condemned. Too much field. Why would we ever need that much? Hell, 30-degrees of apparent field via a Ramsden was good enough for us back in the day; why should things be different now? Too expensive. A grand for a fracking eyepiece? COME ON! I suspect the same things motivate the naysayers as last time this became an issue, when Unk Al released the first of his Ethos oculars. For some folks it just seems like too much of everything. There is a thread of Puritanism running through Americans that insists there’s always a piper to be paid. Unk mentioning that folks pay far more than the 900 bucks Scott Roberts and company will be charging for the 120 on far more ephemeral things like big screen TVs and four-wheelers doesn’t do pea-turkey to change these worthies’ minds. “But how about all that field, Unk? Aren’t they really right about that? Do we really need 120-degrees worth?” Do we need 100? How about 80? How about 50? The size of an eyepiece’s apparent field does not necessarily determine its quality, no, but for some observers it does determine how comfortable an eyepiece of any quality is to use. I am one of those people. I’d no sooner go back to peering through the soda-straw hole of a Ramsden or a Kellner than I would go back to (trying) to image M101 on a roll of Tri-X film. But, in typical Unk fashion, that is putting the consarned cart before the horse. Where did these fancy-dan EXPENSIVE eyepieces come from? What is this “apparent field” business all about, anyhow? My eyepiece story begins, not surprisingly, with my first telescope, a 3-inch Tasco Newtonian Daddy got me after I’d been begging for a scope for 6-months. This “instrument” was bought in the pawn shop of a buddy of his. Actually, Daddy probably traded his expertise at TV repair for the pretty little thing. Not that it looked little to me. It was smaller than the huge stove-pipe of an f/12 6-inch we’d borrowed for a while, but it was big enough, little Rod thought, and looked oh, so much better than the home-built scope, with a gleaming white tube and a beautiful wooden tripod. Alas, this telescope never lived up to its appearance. The Moon looked pretty good and deep sky objects were acceptable within the bounds of what can be expected from a 3-inch telescope from a somewhat (though not yet badly) light polluted 1960s suburban backyard. The planets, Jupiter, Saturn, and Mars? Blobs. I’ve often wondered what the problem was. The mirror was likely a sphere, but at f/10 or so it should have been OK if it was even halfway competently made. It’s possible the mirror clips held it too tightly in its cell and I didn’t know enough to check that. Prime suspect then and now, or at least a contributor? The nasty little eyepieces. The Tasco didn’t come with many accessories. Hell, it didn’t even have a finder; just a couple of perforated metal tabs that served as a peep-sight. 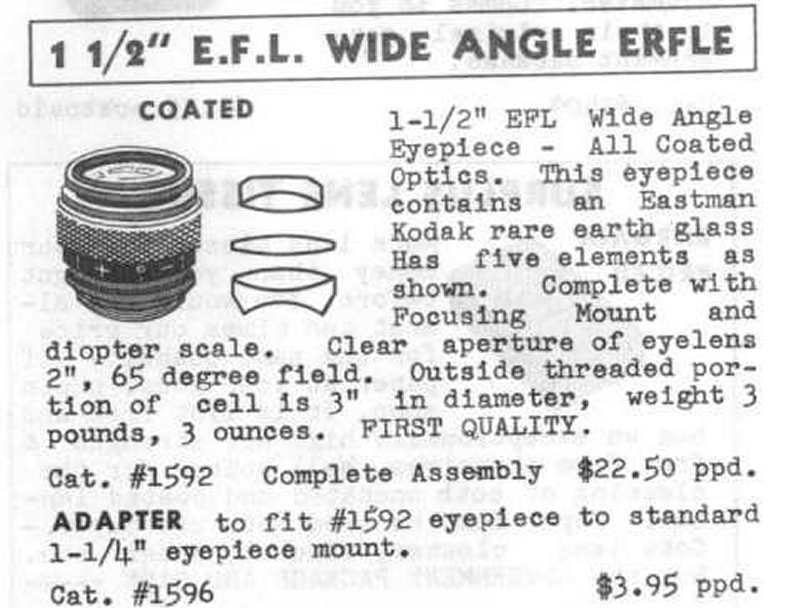 But it did feature a pair of eyepieces, an 18mm and a 10mm I recall. These were Huygenians, two-element eyepieces as simple as an eyepiece can get and still be worthy of that name. Barely. They were not only simple; they were small—.965” barrel diameter Japanese standard oculars. That came to spell “junk” for me, though that was not always true even then. Not only were these oculars’ eye lenses small, I had to really jam my peeper up against them to see the whole field, which even to my inexperienced eye seemed tiny. Despite these things, I didn’t give the eyepieces too much thought at first, blaming my sorrows on a bad mirror. The more I read and learned about telescopes, though, the more I began to suspect the eyepieces (I now knew enough to call them “eyepieces” instead of “lenses” thanks to my mentor Patrick Moore). The Christmas after I got the scope, I asked Santa to bring me a new ocular. Daddy helped Santa by showing him the catalog from this company he’d heard about, Edmund Scientific. I asked for HIGH POWER, a 6mm .965 Ramsden that was within the Jolly Old Elf’s price range. I’d probably have been smarter to ask for low power, but how was I supposed to know that? All I knew was the eyepieces I had didn’t show me much of the planets, and maybe more magnification would help. Ha! As I think I kinda expected, the Ramsden (nearly as simple and cheap as a Huygenian) gave images that were like something that came out of the wrong end of Aunt Lulu’s poodle dog. I gave up my bad eyepiece theory and went back to blaming the primary. The denouement? When I got my wonderful Palomar Junior, I fashioned a .965”- 1.25” adapter out of a cardboard tube and tried the 6mm in the new scope. 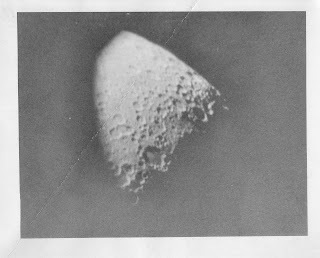 The images were nearly as horrible as they had been in the Tasco; maybe the eyepieces had been at fault after all. Not that it mattered; the 3-inch was long gone, sold to help finance My Pal. Experience has taught me that Uncle Al Nagler is right when he says the eyepiece is as important as the mirror or objective lens. I actually figured that out on my own; it just took me a few years. I progressed slowly, ever so slowly, moving from war-surplus-optics Ramsdens and Kellners like those that came with the Palomar Junior, and which I thought were incredibly good—and were incredibly good compared to the Huygenians that came with the Tasco—to the More Better Gooder. The first eyepiece that showed me what an eyepiece could be? 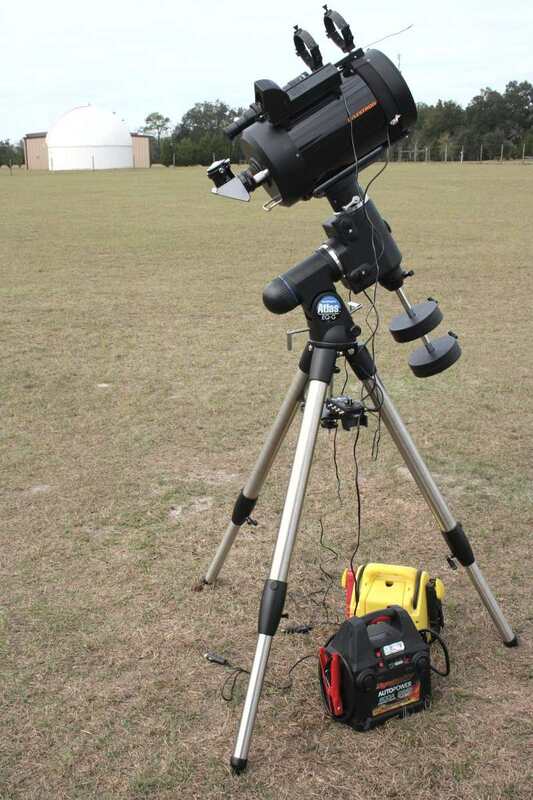 Somehow, someway one of my fellow members in our little teenage club, The Backyard Astronomy Society, acquired a special new ocular, an Erfle, just before the club broke up for good toward the end of high school. I’d never really understood what the books meant by “Apparent Field of View” till I looked into this thing. Going from the keyhole of a 35-degree AFOV Ramsden to the picture window of a 70-degree AFOV Erfle was a revelation. No, it was more than a revelation; it was a REVOLUTION. I had to get me one of them things. If only they weren't so danged expensive. Before we go further, I need to ‘splain something to the greenhorns round here, “Apparent Field of View,” which seems to be a difficult concept for some novices to wrap their heads around. The least confusing way I’ve found to describe it? Consider television sets. Larger versus smaller apparent field is (somewhat) analogous to viewing The Andy Griffith Show on a 12-inch portable compared to a 60-inch big screen. You see the same vista of Mayberry, but in wider, far more expansive fashion on the big screen job. This analogy ain’t perfect. Since the true field of a telescope, the amount of actual sky it takes in, is dictated in part by the size of the apparent field (true field of a telescope equals apparent field divided by magnification), the actual expanse of sky, the true field delivered by a wide apparent field ocular, will be greater, too, but I still think the comparison is purty apt. The benefit of large apparent field is that the eyepiece field circle, the “screen,” is larger and more comfortable to view. It is, as Uncle Al has always said, the spacewalk experience. Big AFOV is always better, then, right? Not always. If there’s not enough eye-relief to let you see all of it comfortably, what good is it? “Eye relief” is the maximum distance you can hold your eye from an ocular’s eye lens and still take in the whole field, and is almost as important a specification (especially if you must wear glasses to observe) as eyepiece focal length or apparent field. I had to jam my eye up against my Huygenians because of their lack of eye relief. I didn’t completely desert narrow field eyepieces after that first look through an Erfle. There were those narrow AFOV but much lusted after (in the 1960s) Orthoscopics that I was finally able to afford as the seventies came in. By the time I’d moved from my last homebrew 6-inch to a Cave Newtonian and, shortly thereafter, my first C8, I was observing, like many “advanced amateurs” (that’s what we called ourselves, anyway), with a combination of Erfles for low power/deep sky work and Orthos for high power/planetary viewing. And we and I were perfectly happy with that. Till everything changed. What changed? 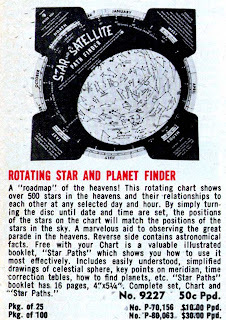 The SCT revolution of the 1970s was followed by the Dobsonian revolution of the 1980s. With (almost) everybody going to large and thus relatively long focal length Newtonians on undriven alt-azimuth mounts, the idea of eyepieces with large apparent fields of view had real appeal. 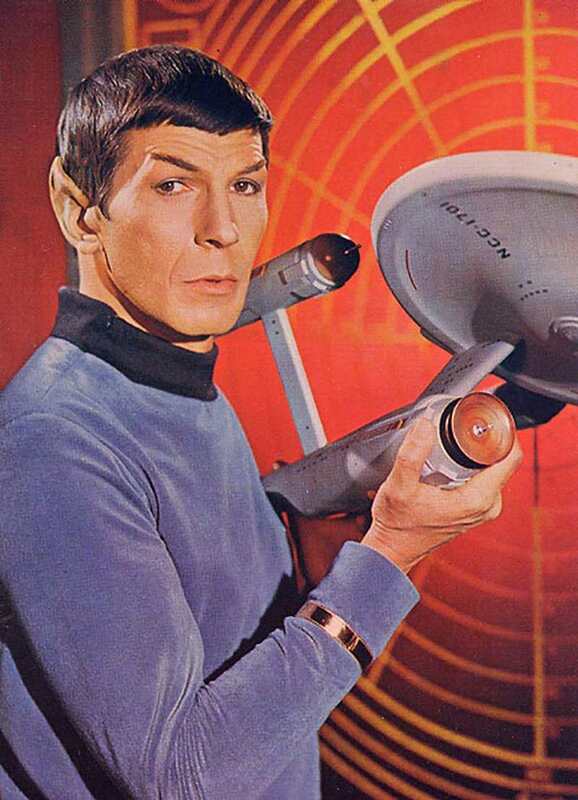 Big portholes on space would mean you wouldn’t have to nudge the scope as often as with narrow AFOV oculars. It was also true that the big telescopes were showing us the beauty of the deep sky in a way we’d never seen before, and bigger windows on the Great Out There would, we figured, allow them to show us even more of the majesty of deep space. Sometimes the stars all align the right way, and that’s what happened in the 1980s. We wanted wider apparent fields and Al Nagler was there. Unk Al began his business, TeleVue, in 1977 selling very good Plossls (and lenses for the projection TVs they had in the freaking discos), but didn’t stand still. 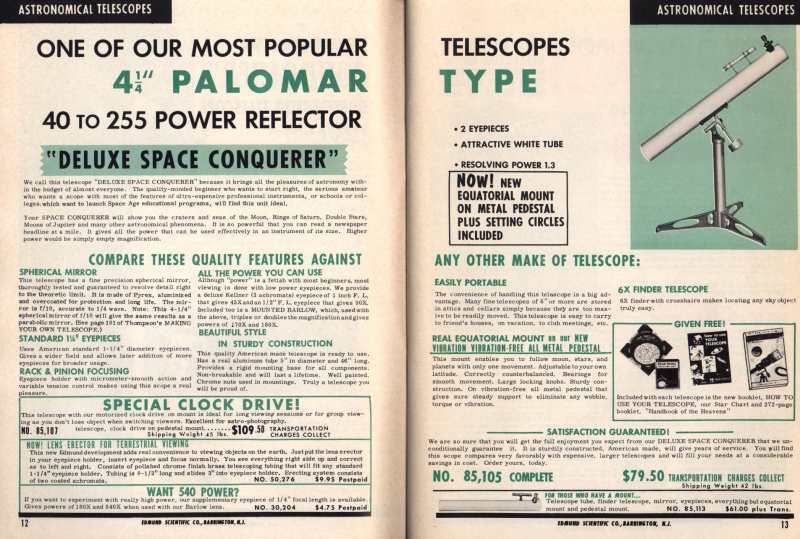 In 1980, TeleVue debuted the eyepiece that changed visual amateur astronomy forever, the 82-degree AFOV 13mm Nagler. 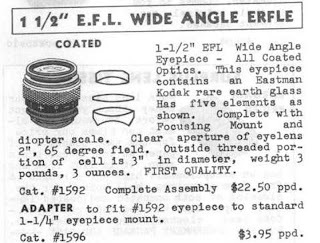 Sure, there had been ultra-wide field eyepiece designs before the Nagler, but not one that not only delivered that huge amount of space, but whose other characteristics were so good that the eyepiece was a joy to use in our fast new Dobbies. Despite its quantum leap in apparent field, the Nagler’s images were worlds better in f/4.5 – 5 telescopes than those of the Erfles, which could be horrible at low focal ratios. What did Unk Rod think of the Naglers? I thought they were expensive. 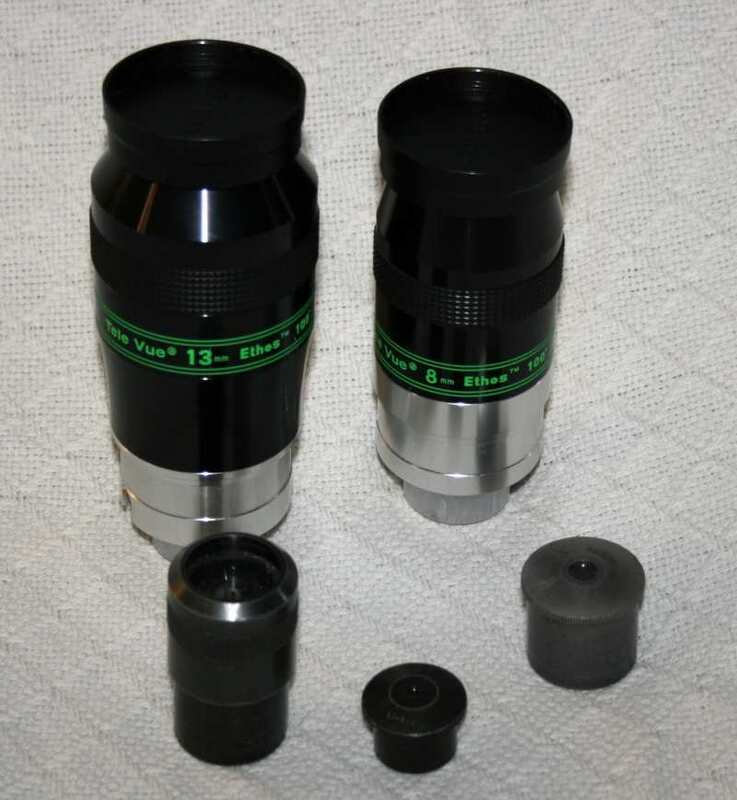 They were probably the most expensive eyepieces I’d ever heard tell of, with the 13 going for a solar plexus punching $250, equivalent to at least 600 of our smaller 21st century dollars. 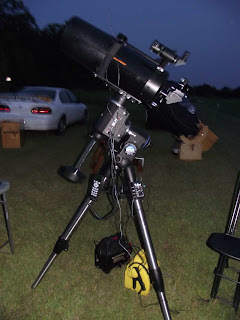 I didn’t think much more than that till I got a look through one at a star party. Then they became spoilers. They were spoilers in that they spoiled my eyepiece collection. No amount of rationalization could make me happy with the keyhole/soda straw experience of Orthos or even those (for me) newfangled Plossls. My Erfles just depressed me. I resisted for some time, but eventually gave in to the urge for ultra-wide viewing. Miss Dorothy got me a 12mm Nagler Type II on one of our first Christmases together, and I never looked back. I loved the 12mm Type II and used it happily until just a few years ago. I didn’t rush out and buy a boxful of Naglers, though. I am a stingy sort, and was able to use my one Nag happily with the aid of a TeleVue Big Barlow and a Celestron f/6.3 reducer corrector for just about everything. It would have been nice to have a longer focal length Nagler to use in my Dob, Old Betsy, though. Just when I was fixing to fill my case with Naglers (and empty my bank account in the process), I discovered the Uwans. The William Optics Uwans (“Ultra-wide Angle”) came in from China early in this century, and were a sign, if we needed one, that Chinese optical competence was improving by leaps and bounds. They’d gone from early, pretty putrid ultra-wides to eyepieces that were actually better than Naglers at some focal lengths. 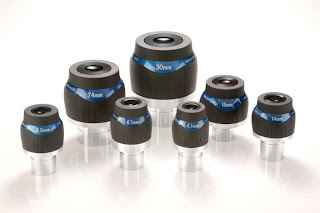 Unfortunately, these eyepieces, which are now also available from Orion, where they are called the “MegaViews,” have never expanded beyond the initial line-up of 28mm, 16mm, 7mm, and 4mm focal lengths. Nevertheless, I was happy with the Uwans until, a couple of years ago when everything changed again. I was aware of TeleVue’s new 100-degree AFOV marvel, the Ethos. How could anyone even on the periphery of amateur astronomy not be? But that was not the same as getting a look through one. When my good buddy Pat and I were able to borrow one for a few minutes one beautiful winter’s night on the old field at the Chiefland Astronomy Village, the 13mm, and I got a look at M42, the deal was sealed. My bank account would suffer. Badly. To the tune of about 600 bucks, which was, as when the Nagler bowed in, more than I ever dreamed of paying for any ocular. What I loved and still love about the Ethoses is not just that 100-degree apparent field, which fulfills all my spacewalk dreams, but the fact that that aside they are just damned good eyepieces. Mechanically, the Es are very finely done, as you’d expect, if big and heavy, as you’d also expect. Optically? The sharpness and contrast they display is incredible. Despite the 13mm’s much wider field, it is better in these respects than my much loved 12mm (which soon went to the Astromart). Edge of field? Free from aberrations and bee-you-ti-ful. Which don’t mean, of course, that the eyepiece won’t display coma in a fast telescope. Some newbies and some not so newbies wonder if very expensive, very good eyepieces will dispel the coma comets. The answer is “no.” I know of no eyepiece with a built-in coma corrector, which is what would be needed to do that. Good eyepieces like the Ethoses can reduce other aberrations—like astigmatism—and make the edge look better than it would with a less capable eyepiece, however. So here’s where I stand now: Ethoses, the 8mm and 13mm models, and my 7mm, 16mm, and 28mm Uwans (I still like my Panoptics, too). Why haven’t I pressed on to the 21mm Ethos? I tried the very similar Explore Scientific 20mm 100-degree jobber-doo at Chiefland one evening, and decided neither it nor the equivalent Ethos would be useful for me. The eyepiece vignetted in my SCT with the f/6.3 reducer in place. Not bad, but quite noticeable. The field was cut off before it was supposed to be. And I have no doubt the 20 E would do the same. I can stand a little vignetting, but there didn’t seem to be any need to. Thing is, I can get as much field as the 20/21 offer at f/10 with my 13mm and an f/6.3 reducer-corrector. The 13mm works great with the r/c or a Denkmeier reducer in my CATs. So, not much incentive to break the piggy bank again. Not that either eyepiece is not wonderful. If I used my Dobsonian, Old Betsy, more often, I’d have one or the other. So, you’re a novice who thinks this space walking stuff sounds like fun? Or you are an old hand who has finally been convinced that the ultra-wides might offer an experience noticeably better than that of Plossls and Orthoscopics, and maybe even put some fun back in visual observing? What do you do? You could buy a caseful of Naglers and Ethoses. Can’t go wrong there. Yeah, the Uwans were a surprise for me. Hell, they near about bowled me over with their quality and utility. You would have to go a long way to best the 16mm model, especially. I love all these oculars, which feature truly useful integral eye-shield/cups and beautiful coatings, and that is tempered only somewhat by the afore-mentioned lack of focal lengths. The prices ain’t bad, either. The top of the line 28mm, which compares very favorably to the 31mm Nagler, is $399 vice over $550 for the TV. You can actually go even lower in price than the Uwans or the Meade Series 5000s (below) and still get 82-degrees, but you won’t be overly happy with the result. Chinese import eyepieces like the Owl Astronomy Ultra-wide Angles can give you a taste of spacewalking, but don’t expect the field edge in a faster scope to be anything to write home about. In fact, depending on you and your scope, it may not even approach acceptable. Alas, in the ultra-wide game, it is still TAANSTAFL—there ain’t no such thing as a free lunch. Not long after Uncle Al established the Naglers as a whole line of eyepieces, Meade, in a fit of expansion fever, came out with their own “Naglers,” the Ultra Wide Angles. Some folks looked down on these eyepieces as mere “clones,” but since Al and company didn’t complain, I didn’t see any reason for me to, either. If nothing else, the Meades were available in slightly different focal lengths and were also (slightly) less expensive. These oculars have their fans, then and now, and can certainly perform well in any scope for a fare a little lower than the Nags. 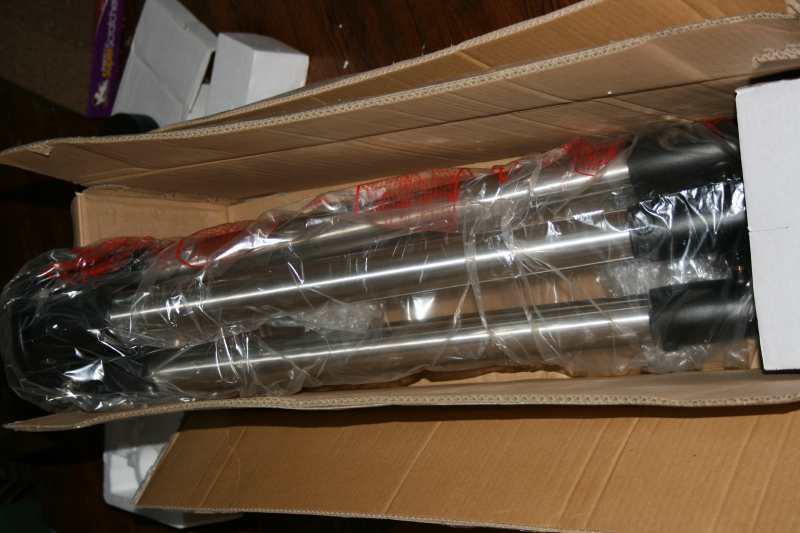 About five years ago, Meade was still booming and had just released their ill-fated RCX SCT scopes. At this time, they also updated the Ultra Wides. This refresh mostly consisted of new bodies for the oculars, snazzy things that looked a lot like Celestron’s Axiom ultras (a line which, while Unk doesn’t know much about it, is rumored to be good and might stand some investigation on your part). Unfortunately, while the “new” eyepieces looked modern, these new bodies were not well thought-out. The prime offense was that they incorporated hard, built-in eyecups, just like the Uwans. Twist to raise, twist to lower. 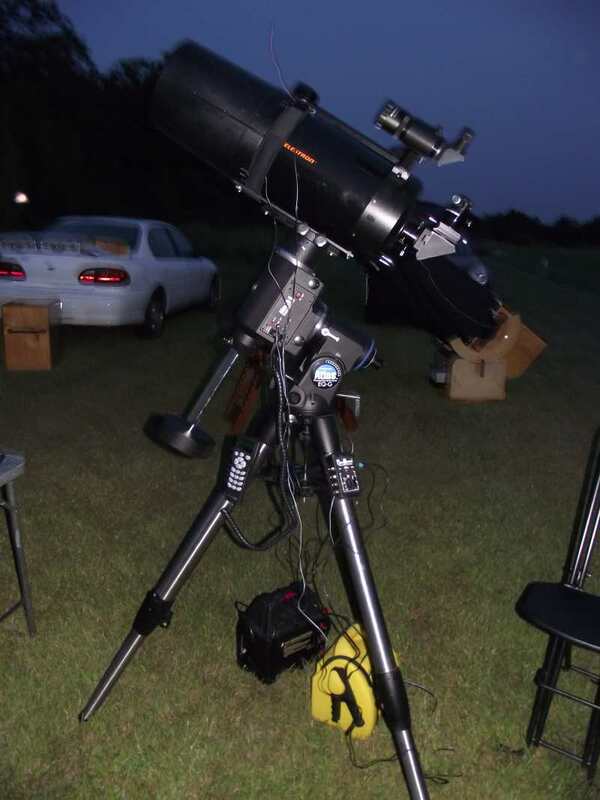 Thanks to the kindness of a Meade rep, I was checking one of these out at the 2006 Cherry Springs Star Party, where I was a speaker. Extended the eye-shield. Purty cool images. Then I grabbed the barrel to remove the eyepiece from the scope, and encountered the dreaded Chinese glue-grease (weasel fat based, I reckon) when I touched the section of barrel exposed by extending the eyecup. Had a hell of a time getting the stuff off, and it made me appreciate TeleVue’s attention to detail all the more. Everybody and his sister knows about Explore Scientific (Scott Roberts’ “new” company) and their 100-degree wonders, but did you know they produce 82s as well? I suppose I knew they did, but didn’t know much about them till my buddy Pat showed me one at the PSAS dark site a little while back. Verdict? A hit. At least as good as a Uwan, and, while I haven’t done a shootout, the eyepiece and those I’ve had the opportunity to try since, are close to the Naglers in my opinion. You even get “nitrogen purged,” just like the ES 100s. The “82 Series” oculars are available in seven focal lengths from 4.7 to 30mm, and are insanely nicely priced, ranging from $99.95 on the low end to $249.95 on the high end. If they are all as good as the couple of focal lengths I’ve tried, the operative word is B-A-R-G-A-I-N. 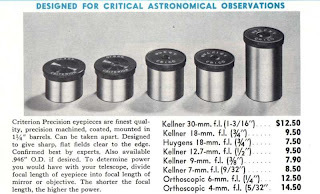 But what made Explore a household name (in amateur astronomy households) was their Ethos competitor, the “100 Series.” I have little doubt you would be happy with any of these, the 9mm, the 14mm, or the 20mm. Their images are, to my eyes, indistinguishable from those of the Ethoses. AND…they are not only available in slightly different focal lengths, they are significantly less expensive, with the most costly, the 20, going for a startlingly reasonable $399.95. If I didn’t have the 8mm and 13mm Ethoses, I’d have the 9 and 14 ESes. 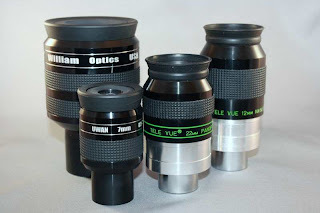 Does everybody agree with Unk that these eyepieces are as good at the Ethoses? No, but I can only report what I experience, muchachos, and even those who think the Es are better admit the difference is SLIGHT. You may be wondering about one of the ES 82 and 100 features, the nitrogen purging business. What’s that for? Hard to say. The eyepieces are certainly waterproof, with Mr. Scott demonstrating that at NEAF one time by dipping a 100 in a fish tank. But what good is it? I’ve never dropped an ocular in a fish pond, and I’ve never had a problem with moisture inside my TeleVues, even in the muggy ‘Swamp, but I suppose the nitrogen might help prevent or reduce internal fogging. Maybe. It was not the ES 100s that inspired this article; however, it was their new 120. This eyepiece, with a field bigger even than TeleVue’s 110-degree 3.7mm Ethos SX, a focal length longer and more useful than the SX at 9mm, and a price higher than any TV at a projected $999.95, naturally inspired much heated discussion on the Cloudy Nights by eyepiece Luddites. Same old same old: we don’t need all that field. It’s too expensive. What does Unk think? At first I was inclined to agree with the naysayers. But then I started cogitating. Let’s face it, you WILL notice an increase in apparent field from 100 to 120, and a 9mm eyepiece would, in my CATs, give both a huge picture window and plenty of magnification to reveal detail in small objects. It would also probably perform like a champ at f/6.3, yielding the equivalent of a 15mm eyepiece. A 15mm with 120-degrees of AFOV. You can bet that gave Unk pause. If only he had an extra grand lying around, he’d get him one of these argon purged wonders. I don’t know that is likely to happen anytime soon, but if it does, I’ll let you-all know. Hell, you can be sure I’ll let you know as soon as I even get a look through one. And there you have it. The ultra-wide story, at least as remembered by Unk. If you insist on clinging to your soda-straw Zeiss Orthos and Tak LEs and Claves or whatever else floats your eyepiece boat, good on ya. Just don’t expect Unk to be there with you. He is a field-o-holic and will likely remain one. Next time: The Revenge of Astroplanner! When I was a young feller in junior high and high school, my days had a certain sameness to ‘em that seems comforting now: school all day, supper, homework, a little observing at night. Repeat week after week. Comforting now, maybe, but not so much when I lived those days. I was neither the best nor worst student—my academic interests didn’t really blossom till college—and I didn’t click with a social scene that, till the end of the 1960s, was pretty Leave it to Beaver. I was just not a sock hop/malt shop kinda guy, so I was usually glad when another school day was done. Until I was a senior and finally got a car, the Old Man’s cast-off 1962 Ford Galaxie (natch), I had to ride the bus home except on those infrequent occasions when I could convince Mama to pick me up at school. Otherwise, yeah, a hot bus with a hundred other screaming baby-boomer kids. Hot and noisy and slow. That was a problem. We didn’t get out of school till 2:30 p.m., and the lumbering bus turned what should have been a fifteen minute journey into at least half an hour. I’d be getting awful antsy by the time I was dumped off at the entrance to Mama and Daddy’s subdivision, Canterbury Heights, and was off in a flash down the street to an empty house. Mama could have been there, since her job as librarian at Kate Shepard Elementary got her home half an hour before me, but she was often hauling my brother around to his after-school activities. Which was cool. That meant there was absolutely nothing and nobody to stand between me and watching whatever remained of Dark Shadows. You may have heard of the late-sixties-early-seventies’ long-running gothic-horror soap opera. Dark Shadows has been revived once already (80s) and is soon to be made into a Major Motion Picture with Johnny Depp. That’s nice, but they’ll never, ever be able to duplicate the scary marvels I saw each afternoon. Watch the old episodes today and what you’ll notice is flubbed lines and falling scenery, but that is OK now and was completely unnoticed then. 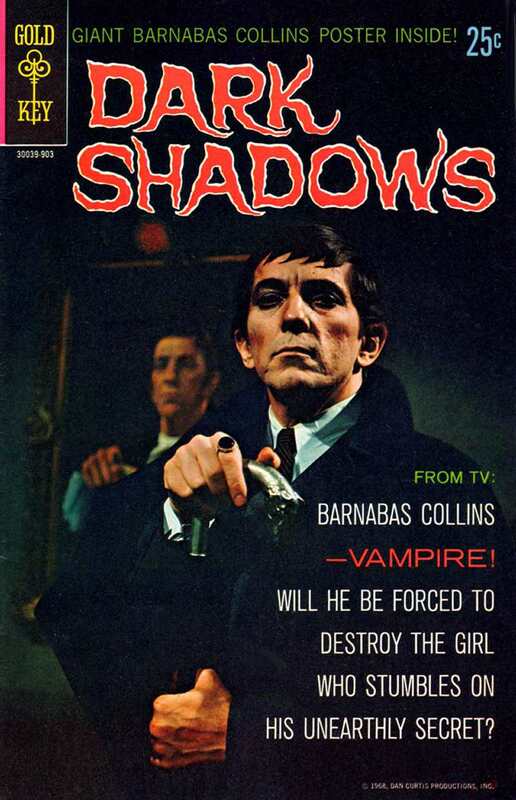 What made Dark Shadows special was that a talented cast of professionals, Jonathan Frid and company, and their writers had room to stretch. The half hour show (I will NOT call it a “soap”) was on every weekday afternoon, and the story arcs grew to incredibly convoluted and detailed and fascinating proportions. The writers covered and amplified on everything from “The Turn of the Screw” to The Crucible to Dracula and everything in between. Mix-in memorable music by Robert Cobert, and little Rod had the perfect escape from the dreary realities of high school. “What in Sam Hill is this about, Unk?” If you read this here blog more than occasionally, you know how I do things, how I conduct my observing runs. But what were things like in the halcyon (supposedly) Day? Back before there were SCTs and PCs on the field? 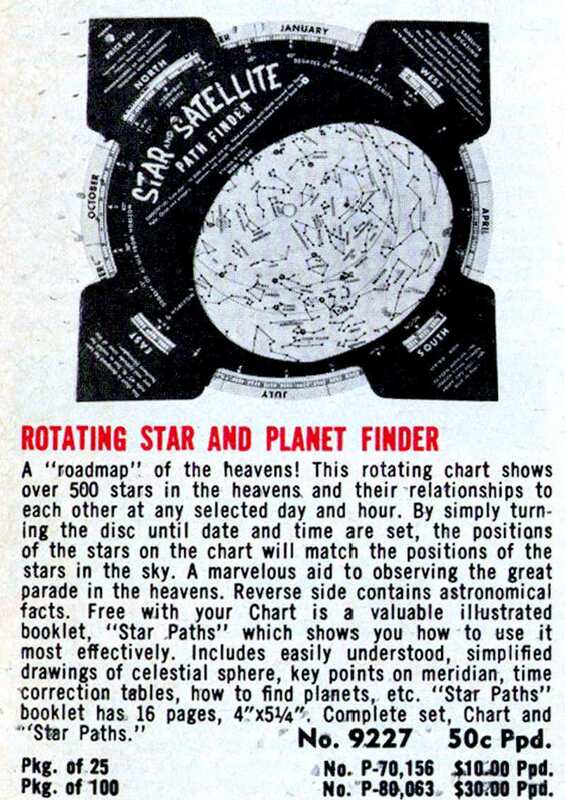 When amateur astronomy was simpler? To give you the complete picture I have to tell you about afternoons at Mama and Daddy’s. The Early Show had been on for years, but had never been of much interest to li’l Rod till our station, WKRG, bought a package of films that was heaven: The Universal monster movies, Tarzan/Bomba jungle films, and assorted B-grade science fiction movies. I loved monsters for a couple of years, going through a phase where I waited for Famous Monsters of Filmland magazine with almost as much anticipation as for The Fantastic Four’s monthly comic. By the time I had my Palomar Junior I had almost outgrown monsters, though, and was more interested in the outré SF I’d see some afternoons. We ain’t talking The Day the Earth Stood Still. That hallowed film was reserved for broadcast by NBC once a year on Saturday Night at the Movies, just like The Wizard of Oz. Nor even The Blob or This Island Earth. No, what we got on The Early Show was odd films like The Monolith Monsters and I Married a Monster from Outer Space. 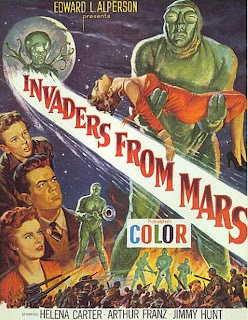 And Invaders from Mars, the story of a little kid (there’s a small refractor in his room! 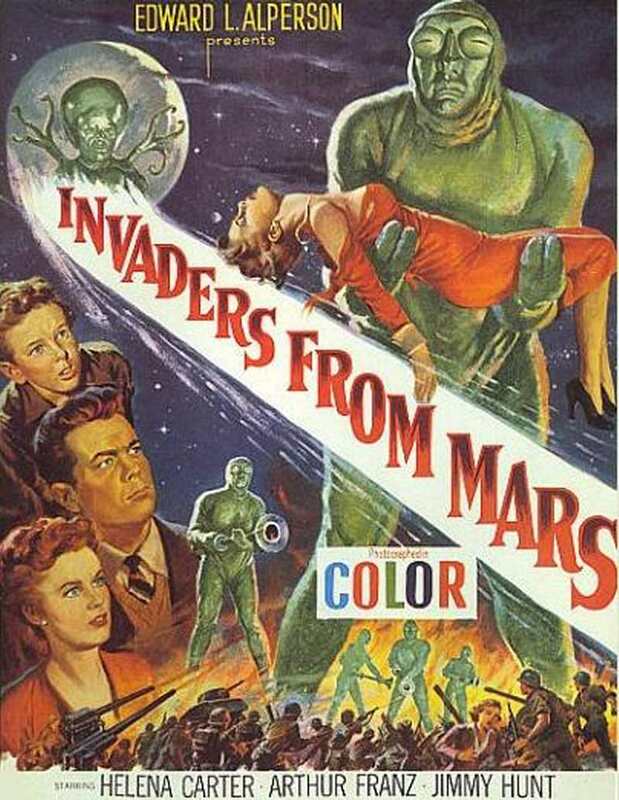 ), who discovers invaders from the angry red planet are taking over the minds (and bodies) of adults. I was genuinely frightened by Invaders. In my slightly alienated, slightly oppressed state, the idea that my teachers at W.P. Davidson High School—and maybe even Mama and Daddy—were ACTUALLY cruel and hideous monsters from The Great Out There sometimes didn’t seem so far-fetched. Whatever was on, I sat and watched till the movie ended precisely at five. Unless, as occasionally happened, some inexplicably out of place “mushy” film was on The Early Show in place of the normal fare. Why they would sometimes slip Mildred Pierce between Frankenstein Meets the Wolfman and Invasion U.S.A. I still do not know. The scheduled film didn’t arrive? Temporary insanity concerning what us kids wanted to watch? If the movie was punk, which would be signaled by the absence of The Early Show’s wacky host, Jungle Bob, before the film rolled, I’d move straight on to my homework. After Mama was off work, she’d sometimes run by the house and put something on the table for me. Or, if he wasn't working till sign-off at the TV studio, Daddy, a.k.a. “The Old Man” or “The O.M.,” might be home and might be persuaded to heat a can of Chef Boyardee for us. Otherwise, Mama would leave something for me in the oven accompanied by heating instructions that warned in the direst terms that I MUST turn off the oven when I was done lest I burn down the house and my silly self. 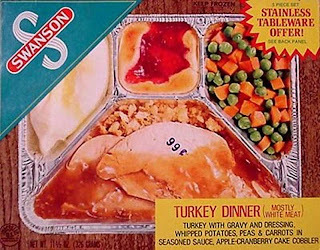 If I was lucky, the instructions were uber simple and involved a fried chicken or turkey or Salisbury steak Swanson’s TV dinner. On a school night or a Saturday when the gang couldn’t get together, I’d fetch my logbook (a steno pad) and my reference materials (the latest Sky and Telescope, Stars, Norton’s Star Atlas, and The New Handbook of the Heavens) and scour them for deep sky wonders of interest. By the time I had moved up from my 3-inch Tasco Newtonian to the Pal Junior, not much planning was necessary. All I had to do was check the Messier list to see which objects I’d done, which needed to be done, and what was available (determined with my Edmund Star and Satellite Path Finder planisphere). Monday through Thursday, I’d be able to get in an hour of observing in the spring and maybe a couple in the winter before Mama chased me into the house. Time to get the gear out the door. Without Mama’s hovering presence, that was easy. Not that I had a whole lot of gear to get out. 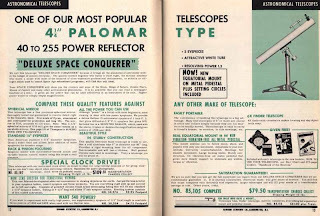 I had my Edmund Scientific Palomar Junior 4.25-inch Newtonian, a TV tray on a stand that served as my observing table, a box of eyepieces including a 1-inch (25-mm) Kellner, a ½-inch Ramsden, and a lousy ¼-inch Ramsden. I also had the Barlow that came with my Pal, but I don’t remember it working very well and it usually stayed in my room. My eyepiece case was a small aluminum war-surplus box daddy had given me. It was about 6-inches by 4- inches, was furnished with a shoulder strap, was painted a smart olive-drab, and was weather (dew) proof. It worked very well—I could hang it over my shoulder and have all eyepieces at my immediate beck and call. I wish I still had it. For field reference, I’d have Sky and Telescope if I thought I’d try some Scotty objects (many of which were too hard for me). Norton’s Star Atlas was on the table till I could grub up the coins to replace it with the much better Skalnate Pleso (the ancestor of Sky Atlas 2000). Finally, I had my astronomer’s flashlight, an EverReady with some red cellophane left over from Valentines day over the lens, and my Messier Computer. That was what I called it, though it wasn’t really a computer; truthfully, I didn’t know what a computer was. 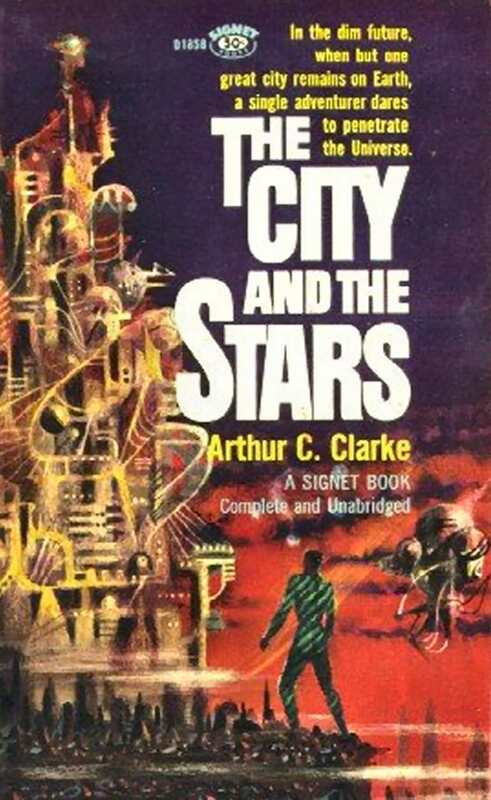 All I knew about ELECTRONIC BRAINS came from the vague descriptions in Arthur C. Clarke novels like The City and the Stars and what I saw on Star Trek (“ERROR! ERROR!”). My gadget had information on all the Messiers, so I figgered it was like Mr. Spock’s Library Computer. As I’ve described before, the Messier Computer was a scroll of paper, teletype paper, on which I’d written the numbers and names (if any) of all the M-objects. I also added a short description for each (“Norton’s says this is a bright globular cluster.”) and a box to check-off when I conquered the fuzzy. This scroll was wound on the rollers of a piece of war surplus electronics gear (which me and my buddies called “radio junk”) I’d got from the Old Man. It was probably a calibration reference guide for some kind of signal generator—the roll of paper I’d removed from it was utterly indecipherable. Whatever it was, the Messier computer worked a treat, and I curse the cruel fates that decreed it disappear sometime during the 70s—I suspect during one of Mama’s yearly cleaning binges while I was far away in the Air Force. There was always the question of where to set up. 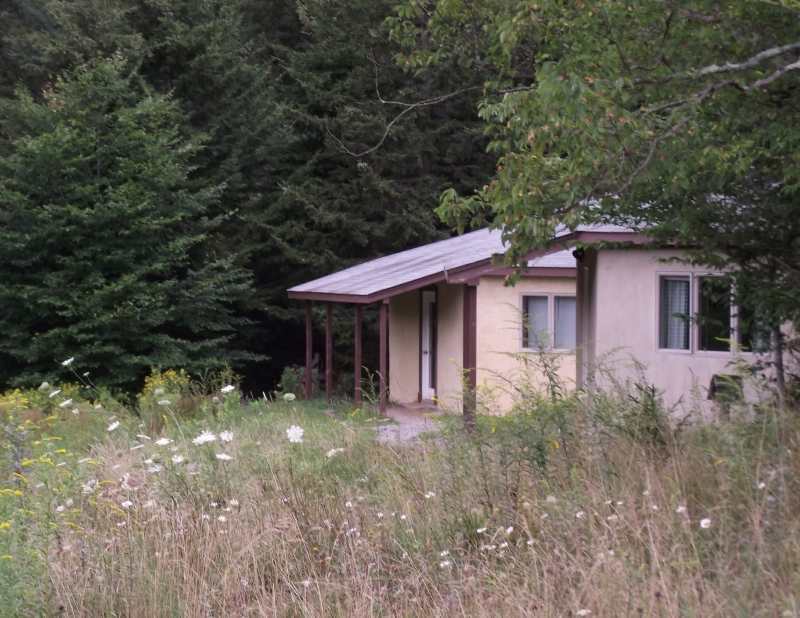 There was a tree-free spot at the base of Mama and Daddy’s yard that allowed me to examine Southwestern sky, but when I was home alone I found that too spooky most nights. I preferred to set up on the blacktop next to the carport. I had a pretty good view of the eastern sky (over the roof of the house; it took me a while to figure out the heat radiating from it screwed up my images), and the meridian was in the clear from the north pole till just past the Celestial Equator. I’d detach the tube, lift the big and heavy (I thought) mount, and carefully, very carefully—I was wisely wary of nicking Mama’s beloved mahogany coffee table—maneuver the Pal’s German equatorial mount out the back door. Tube back on and observing table set up and populated with my accessories, I’d try to keep my mind on preparing for my run as I waited for the stars to wink on. Letting my thoughts turn down the strange pathways engendered by The Early Show, pathways that led past UFOs, zombies, and vampires, was a recipe for an end to my run before it began. I was thirteen going on fourteen, and monsters were now supposedly a thing of the past, kid stuff from my days of reading Forrest J. Ackerman’s sacred writings and playing “Werewolf’s out tonight!” under a fat yellow Moon with the kids next door. But with the neighborhood settling into a dark night, none of it seemed like kid stuff at all. If there was a Moon out and deep sky observing was doubtful, I might decide to add a few snapshots to my slowly growing collection of Moon Pictures. I did that with the only camera I had, my Argus Argoflex Seventy-five twin-lens reflex, which was just a plastic 620 film (you old timers remember that) medium format box camera. The OM could be persuaded to bring out his fancy Exacta or Nikkorex once in a while to shoot the Moon, but I’d danged well better not touch his cameras when he wasn’t home. If I planned to take pictures, there was easily enough to occupy my mind. In the beginning, I didn’t have a camera mount and set up a tripod next to the scope so I could point my Argus’ lens(es) into the eyepiece, which wasn’t so simple when the eyepiece might be at some decidedly odd angles. The Palomar Junior didn’t have tube rings; the OTA was bolted directly to the mount cradle. I couldn’t move the polar axis off north to position the focuser better, either; that would make it harder to track the Moon with the camera than it already was. I did the best I could and kept saving for an Edmund’s camera bracket. When visual observing was the agenda, getting set up was easier, but I still had to ready my reference books, whether Norton’s or Scotty’s latest column. If I were staying close to home, in the Solar System, maybe just visiting the good old Moon, I’d use the wonderful two-page Lunar map in the old Norton’s. I had a plan, too. 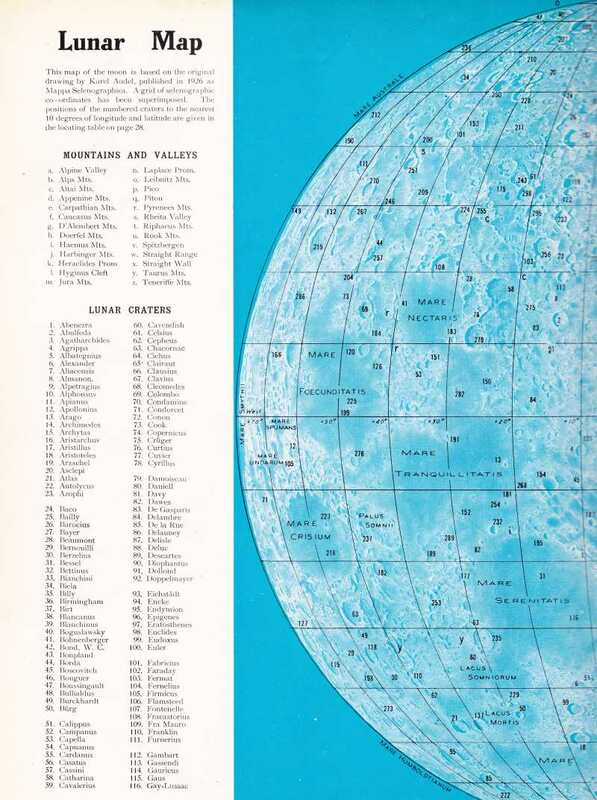 My hero, Patrick Moore (well before he was SIR Patrick), suggested that if you wanted to learn the Moon you should sketch 100 prominent Lunar features. I kicked it up a notch, undertaking to draw all 300 identified on the map. Jupiter and Saturn and Mars and Venus? I’d draw them too, though I wouldn’t have much idea what I should be seeing. Maybe that was good. I’d usually (though not always) sketch what I saw of the deep sky as well. I did all my drawings, planets and DSOs, in the steno-pad that served as my log. I would later transfer some (maybe slightly wishfully enhanced) drawings into a real sketchpad. I again curse the fates that my early logs and sketchbook disappeared sometime in the 70s. When dark finally came, I had lots more work to do if I were taking Moon pictures. I’d debugged my astrophotography system (as much as I could) in the days of my 3-inch Tasco, but plenty of effort still went into getting Lunar images, and no matter what I did it was always a tossup. Would the shots that came out of Daddy’s darkroom look good or would they look like something Aunt Lulu’s poodle dog threw up? The latter was more likely, and no wonder, given my simple, shaky technique. Since I couldn’t remove the lens from my Argus TLR, I had to shoot using the “afocal” method where the lens stays on the camera and the eyepiece stays in the scope. The camera takes the place of your eye at the eyepiece. That works well with modern digital cameras, but way back when it was tough unless you were lucky enough to have one of them new-fangled single lens reflexes, which I most assuredly did not. My problems were focus, exposure, and camera shake. In other words, everything. Focus was the main difficulty. My camera had a (single element) fixed lens, and just snapping away with the scope focused by eye led to putrid results. I finally hit upon focusing through the “top lens,” the viewing lens, of my twin lens reflex, carefully elevating the tripod to bring the shooting lens into place when I was done, and firing away. This worked, if not consistently. The viewing lens had such a large depth of focus that it was hard to tell when the Moon was really sharp. I also had to line-up the shooting lens blind, meaning my framing was often off, and if the camera got tilted with respect to the eyepiece, part of the picture would be blurred. Exposure was also a stumbling block, if not as much as focus. My camera only had two shutter speeds, an “instant” one, 1/60th second, and a “time” (actually B) exposure mode, meaning the shutter stayed open as long as you held the release down. The normal speed worked fairly well for full disk shots with the 25mm Kellner and the 35mm “Moon picture eyepiece” daddy made for me out of an old Wollensak lens and a length of brass tubing. My negatives were almost always either underexposed or overexposed, but Daddy was able to make something of most of them in the darkroom. What was amazing was that some of my Moon pictures weren’t ruined by vibration. While the Pal Junior’s mount was heavy, it was, in typical sixties GEM fashion, shaky. In order to get a good image I had to position the Moon so it would drift into the center of the frame by the time I pushed the shutter release (I didn’t have a clock drive), which I would do after I judged the scope had had time to settle down after I touched it. As I said, it’s remarkable I got anything, and I am still proud of those humble shapshots 45 years down the road. On a deep sky night, I had a much more relaxing evening in store. My usual practice was to stick to a constellation or two. I’d found that jumping all over the sky was not productive unless I was just out to look at a few of the night’s best and brightest showpieces. Once I got my bearings in a particular area, it was much easier to locate one object after another than it was if I was always moving to new and unfamiliar territory. I didn’t make much headway with the Messier until I figured out star-hopping. Before I did, I’d try to position the scope on an object in one go after glancing briefly at its position in Norton’s. That usually meant I missed. One night, though, I had the epiphany that I should be letting the stars in the area lead me where I wanted to go. M37 was about half-way along and just outside a line formed by Theta Aurigae and Beta Tauri. Once I glommed onto hopping, the Messiers began to fall before me. Not that everything was easy. M37, one of my favorites, was always tough. But at least I could see it when I got there. It was easy to star hop to the position of M101, but no matter how many times I did I never saw a blessed thing. Another obvious help that eluded me for some time was that many of the Messiers would be visible even in the Pal’s humble finder scope, a puny 23mm job. Instead of setting and resetting on consarned M37’s position, a look through the finder once I was in the area might have shown this somewhat subdued cluster as a wee fuzz-spot. Strange as it sounds today, I think I had the odd idea that doing that would have somehow been “cheating.” Go figger. Once I was finally on the object of my desire, I would give it a good, long look, even if I hoped to tick off a bunch of Messiers on that evening—maybe three or four. Taking my time on objects was something I had to learn, though. In the early days, I'd give a DSO maybe a minute before I was off hunting the next one. Till one day I realized that I didn't see much at all if I didn't give my target at least five or ten minutes of eyepiece time. I’d stare at my target for as much as half-an-hour and let my mind drift toward it, wondering which of the multitudinous stars of M37 or whatever I was looking at harbored those nasty aliens from The Early Show. Sometimes I spooked myself so bad that I was soon carrying the scope back inside just as fast as I could go. But it was still worth it. What good was looking at the stars if you didn't do some DEEP THINKING about them? Whether I was admiring M37 or Jupiter or Copernicus, my last step before moving on was making a drawing. Over and above Patrick Moore’s advice to sketch the Moon if you wanted to know it intimately, I found drawing fun. My sketches weren't art, but I think some of my finished ones were pretty good nevertheless. I’d developed an interest in drawing for its own sake and somehow convinced Mama to pay for art lessons for me one summer at our little city’s art gallery in Langan Park. Mama actually assented readily, maybe because she hoped it would keep me out of the mischief she always imagined I might be getting into—if only she had realized how timid I really was. Anyhow, the lessons helped both my celestial and terrestrial drawing technique. In the process, I developed an intense crush on my instructor, a pretty young woman from our local university’s faculty. Oh, to be young and suffer that delicious heartbreak again! All good observing runs come to an end. On a weeknight that end was presaged by the headlights of Mama’s car coming down the driveway. She knew to be cautious if she saw the carport light was off lest she run over her strange young son. Not much danger of that; it was hard to miss Mama’s coming and I’d have picked up my Pal and moved him to the safety of the patio at the first distant rumble of her shocking pink Oldsmobile’s Rocket 88 engine. If Daddy made it home first, I could sometimes convince him to have a look or two and thus be able to stay at the scope for a little while after Mama returned. Eventually, of course, she’d stick her head out the back door and holler, “Now Frank, you know that boy has got to get to bed!” and that would be it. Then as now, one of the best parts of the run was the aftermath. Quick bath, back in my room, snuggled down in bed beneath my Solar System and Mr. Spock posters. I’d voyage back through the wonders I’d seen that night till sleep took me. And after in my dreams where I'd roam the Moon in the shadow of razor-sharp Chesley Bonestell mountains or traipse the Universe in my own personal Rocketship Galileo. Next time: "Hey, meester! You wanna 120-degree AFOV eyepiece?" I was put out, muchachos. After dusting off my Canon DSLR to take a few pictures for a magazine assignment, the still-imaging bug bit me again. I was all fired up to get out under the stars with my Canon Rebel, my StarShoot auto-guider, and my new 50mm guide scope. How the weather gods laughed! Amazingly, however, they decided not to prevent me from doing any observing at all, just any imaging, with drifting haze, temperatures near 90 at midnight, and humidity that made it seem as if I were looking up at the stars from underwater. What to do? The simple solution was make it a Charity Hope Valentine night. I always have fun with my ETX-125, so that would have been OK, but my renewed obsession for DSLRing wouldn’t let go. OK, this would be the perfect time to give my Atlas (EQ6) mount a good shakedown before the coming of the fall picture-taking season, even if I couldn't take decent pictures. I’m not sure why I haven’t written more about the Atlas. Save for a couple of blog entries, I’ve had little to say about the EQ6, even though we inmates of Chaos Manor South still refer it as “the new mount.” I was shocked to realize the other day that Atlas has been with me for going on four years. So it’s high time I said a little more about this classic of 21st century amateur astronomy. It began for me in 2007, just as I was finishing up my last book. I needed a few more astrophotos for it, and while I could have used my Celestron CG5 German equatorial mount, I wanted to get the work done with a little more ease than it would allow. The CG5 can yield good guided (or even short unguided) images, but it’s never a walk in the park. Balance has to be just so. If you move to a distinctly different part of the sky, be prepared to re-balance. That is critical. And you will throw out at least a few sub-frames every time. It would be nice to have a mount that just worked, meeting my rather modest imaging requirements without a whole lot of fuss. The CG5 was also a bit light, even for the C8 at times. Coulda had a Losmandy G11, I suppose. 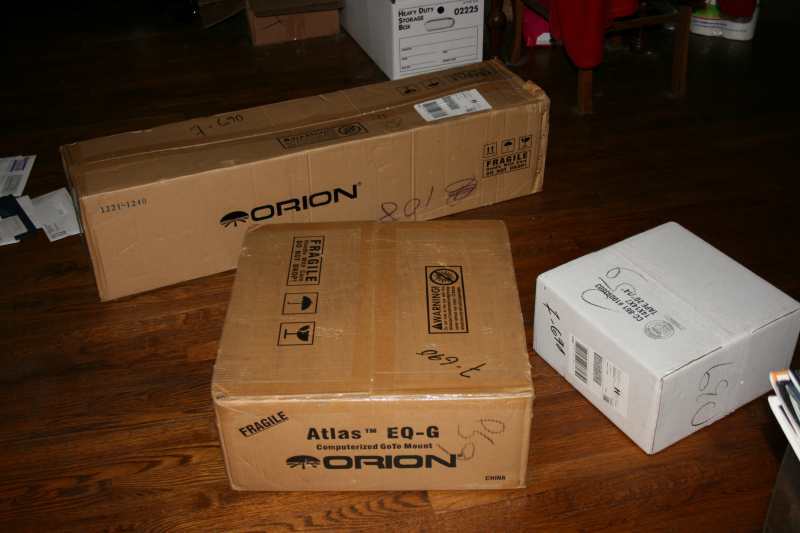 Why did I choose the Atlas—as the Synta EQ6 is called by its sole U.S. vendor, Orion? I’d had a chance to play with a Chiefland buddy’s G11 with its Gemini go-to system. The mount itself was a work of art given its relatively modest price, but Gemini? Me, used to the Celestron and Meade hand controllers, would have had to learn the computerized goto routine all over again. Gemini didn't seem overly user friendly, either, I’d definitely be struggling at least at first. Another plus for Atlas was EQMOD. Y’all know I love Celestron’s NexRemote, a telescope control program that takes the place of the hand controller and allows you to use a wireless joystick as your “HC.” It turned out there was something just like that for the Atlas. The EQ6 is made by Celestron’s owner, Synta, but NexRemote is utterly incompatible with the Synta-branded mounts. Not only is the motor control firmware different, Atlas and his little sister Sirius (née HEQ5) use stepper motors instead of the servos used in the Celestron gear. So, no NexRemote. But there was EQMOD. EQMOD, which is currently being maintained and developed by the talented Chris Shillito, does many of the same things NexRemote does, if a little differently. 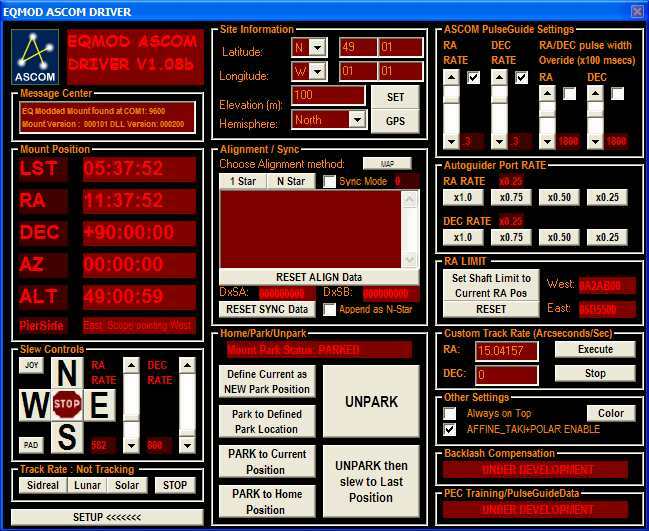 NR is a standalone program while EQMOD is an ASCOM telescope driver. That is actually a plus in a way. Instead of just duplicating Atlas’ SynScan HC on the computer screen, EQMOD works with an ASCOM compatible planetarium program. Instead, for example, of selecting alignment stars from a list on a virtual hand control, you click on them on a planetarium’s sky display. Otherwise, EQMOD does pretty much what NR does—allows gamepad control, uses an off-the shelf GPS, allows you to compose sky tours, etc. Was EQMOD what pushed me over the edge in choosing the Atlas? Almost…but…well…y’all know me. Price is always a concern for stingy old Unk, and, while the Losmandy was very reasonable at 3K, the Atlas was way more reasonable at about half that. I pulled the trigger. I figured that if the Atlas were half the mount the CG5 was I’d be home free. It turned out the Atlas was more than half what the CG5 was in at least one regard: weight. Which I discovered when I came home to the old manse one winter afternoon and nearly fell over a pile of hulking boxes left in the front hall by the Brown Truck Dude. The longer of ‘em was obviously the tripod and was easily carried into the parlor. The little one must contain the HC, and the middle-sized carton the GEM’s head, since poor broken down old Unk was barely able to lift it. Opening said boxes revealed some pretty impressive stuff. Save for its head, the tripod was identical to what was on my CG5, which was a good thing. This 2-inch diameter steel leg thing is a decent compromise between “too weak” and “too heavy.” One thing I finally found out: the purpose of the indentation in the tripod spreader/eyepiece tray. It’s for a hand control mounting bracket, which is not included with the CG5 but is included with the EQ6/Atlas. The mount itself? Not just heavier, but bigger than it looked in its pictures (ain’t that always the way it is with astro-gear?). I mounted it on the tripod without incident, but lifting over 40 pounds to do that wasn’t much fun. I was impressed by the mount’s heavy build, but from the get-go wondered how often I’d be able to convince myself to take this thing to the dark site for a few hours of fun. What else? There was the hand controller. Looking at its picture, you Celestron mavens are gonna think, “Man, it’s a NexStar!” It looks like one, yeah, but for better or worse it ain’t one. I grabbed the instruction manual, which turned out to be decently written if not perfect—like the CG5’s OK manual—and began to educate myself on what I was to discover are the decidedly different ways of the SynScan HC. First tip-off to that was that while the keypad layout was very similar to the NexStar, the buttons were different. An example being the three “alignment” buttons at the top of both hand controls. Instead of the NexStar’s “Align,” “Enter,” and “Undo,” the SynScan had “Esc,” “Setup,” and “Enter.” Their functions are about the same as the three Celestron buttons, but in different order, which continues to give me headaches to this day. I am always pushing “Esc” (escape), which is where “Align” ought to be, with predictable results. When I thought I more or less understood what the SynScan buttons should do, I fired up the mount and ran through a fake alignment indoors. You know: just accept whichever alignment stars the mount picks and see if it points in approximately the correct directions when you send it to objects. This is something I’ve done to familiarize myself with every new go-to I’ve used. Not only did Atlas do what he was supposed to do as far as I could tell, his steppers were far quieter than the CG5’s servos. No more “weasels with tuberculosis” sounds during slews. The HC software? The alignment routine itself was just like that of the CG5 at the time: center three stars. I noted, however, that the SynScan HC did not have a built in polar alignment routine. At least not like the CG5’s, where the scope points at where Polaris (with the newer AllStar utility, almost any star) should be given a perfect polar alignment and you adjust mount altitude and azimuth to center the star. What the Atlas had (and still has) was a polar alignment borescope. I’ve heard rumors that the next iteration of the SynScan firmware will have an AllStar like polar alignment routine, but that ain’t happened yet. Yeah, just a polar alignment scope, but what a polar alignment scope! This one has an eyepiece with an apparent field better than that of any polar alignment scope I have ever used. 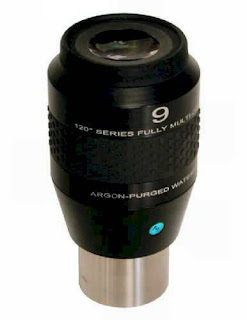 The HC has a utility to help you use this polar scope, too. After you enter time, date, and position, the HC will give the current hour angle of Polaris. Turn the mount in R.A. until the little circle on the borescope reticle where Polaris goes is straight down, and set the R.A. circle to reads 0 hours. Then, rotate the mount in R.A. until the “time” on the setting circle (inner scale in the Northern Hemisphere) is the hour angle given by the HC, adjust the altitude and azimuth of the mount to put Polaris in the reticle’s circle, and you have a very decent polar alignment. Only deficiency I noted? Every once in a while Atlas would refuse to power up. I had enough experience with Synta/Celestron’s power cables to know that was the first thing to check. Sure enough, the connector fit too loosely in the receptacle on the mount. Closer examination revealed the connector pin on the mount side was in one piece, not two halves like on the Celestron gear, and could not be spread apart to create a firmer connection. I rummaged around in my junkbox and found a cable of the correct polarity that plugged in more firmly and the problem was banished. Why buy from Orion? I emailed them about my cable problem and they immediately got a replacement on its way to me. I have little doubt their service is among the best in the business. All that remained was to get the scope out under the sky, which I did when the clouds finally cleared off about two fracking weeks after the Atlas arrived. Results? Mixed. I was not impressed by the SynScan HC. Go-to targets near the three alignment stars—the HC also offers a two-star alignment procedure—were in the field of a medium power eyepiece after a slew, but those farther afield were out; sometimes far out. I was also somewhat stymied by the mount’s altitude and azimuth adjusters. It was hard to move the mount to put Polaris where it ought to be. The good news? When I fired up EQMOD, go-tos immediately got More Better Gooder, with everything somewhere in the field of my eyepiece from one side of the sky to the other. It was also cool to be able to use a wireless gamepad to move the scope and execute some mount functions, just like NexRemote. Overall, I was pleased. Yes, I was a little miffed about the HC, but from the start I’d planned to use EQMOD almost exclusively. The real test would come when I got to a dark site—first light was at a friend's substantially light polluted observatory—and took the pictures that were the main reason I’d shelled out the bucks for a new GEM. You can read about my adventure Down Chiefland Way in January ‘08 here, but to sum up: it was a little chilly for Florida, but the mount worked a treat. It auto-guided very well. I didn’t know just how well until later, when I discovered that with my particular Atlas’ version of motor control board I needed to tweak R.A. tracking speed when using EQMOD. Much of the credit for the ease with which I was able to take pictures goes to the wonderful PHD Guiding software—it just locked on despite my motor speed faux pas—but Atlas certainly did his part. The combination of my Canon DSLR and Craig Stark’s PHD and his image acquisition/processing program, Nebulosity, was a winner. Heck, even the owner of a big AP mount and a big-chip SBIG camera was impressed by what my humble gear produced. I even conquered the mount’s main deficiency, its altitude and azimuth adjusters. The addition of a thin layer of bicycle chain grease fixed the azimuth friction. The altitude? There is no denying it is hard to raise the mount with its puny adjuster screw. People have even bent this bolt, the same one used on the CG5, in the course of polar aligning. I found a simple solution. Either do the polar alignment before mounting the OTA and weights or, when raising in altitude, give the bolt a little help by pushing up on the counterweight bar. Yep, just that simple. Adjusting for polar alignment still ain’t a joy, but it works and nothing gets bent. After that? I did a couple more astrophotography runs with Atlas and my C8, Celeste, at the club dark site. Imaging with the DSLR’s comparatively big chip at 1300mm was as easy as rolling of a log. I put the SynScan HC in the case and left it there, just using EQMOD. My picture taking for the book done, the Atlas rarely got used for the next two years. You see, I’d started this “Herschel Project” business, and when I wanted to use Celeste for that, the CG5 was more than adequate, including with the Stellacam shooting with the C8, bringing back dozens and dozens of faint and fuzzy aitch-objects every run. In fact, I almost sold Atlas. 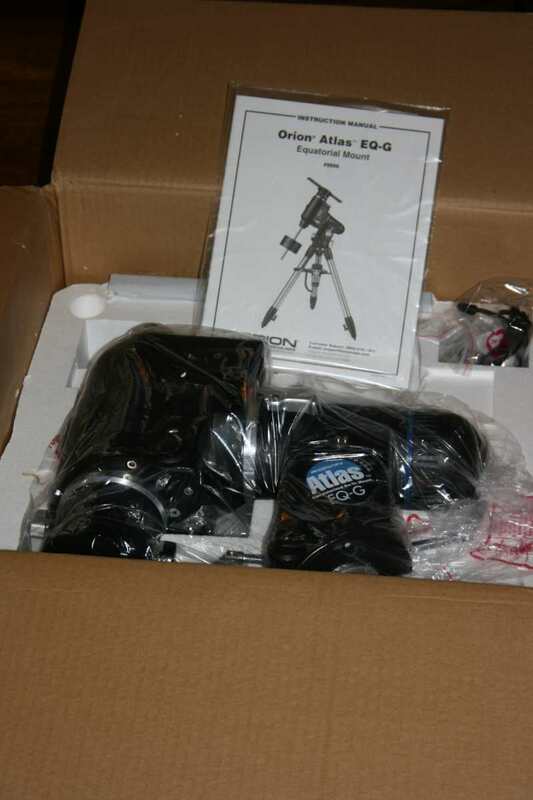 Several months after I got the mount, Celestron released its CGEM, a modernized and prettied-up version of the EQ-6. It looked better, had better altitude and azimuth adjusters, and, most of all, used the wonderful Celestron hand control and software. Yeah, Atlas was about to go on the Astromart—till I began hearing about QA and other problems with the CGEM. I decided to stand pat. Then, I started getting interested in DSLRing again. I also became curious about the SynScan HC. Surely it couldn’t be that bad? Why hadn’t I been able to make it work well? Wonder of wonders, Unk sat down and gave Atlas’ manual a thorough read instead of the brief scan it had got when I received the mount. Apparently the problem was me, not the SynScan. Choosing alignment stars for this hand control is a different proposition compared to what it is with the NexStar. With the Celestron firmware, “good stars” are usually stars as far apart in azimuth as possible. The mount chooses the stars for you, anyway, so unless they are blocked by an obstacle and you have to pick alternates, it’s a no-brainer. SynScan is different. The azimuth separation between the two initial stars matters somewhat, but what really makes a difference is R.A. For a good go-to alignment, the first two stars should be separated by at least several hours of Right Ascension. Third star? Not as critical, but it should be on the other side of the Meridian and between 30 and 70 degrees declination north or south. The real kicker? The SynScan presents you with a list of alignment stars. B-U-T these are not given in order of how good they are. It is just a list of possible stars, and the first two in the list may be the WORST alignment choices for your time and date. You have to scroll through this list and pick three stars that meet the above requirements. Sounded like I had done everything wrong when I’d initially tried the SynScan, and I couldn’t wait to give it another try—it would be cool to be able to use the Atlas without dragging out a computer every time. I got my chance one evening at the club dark site when I planned to use EQMOD to shoot some DSLR pictures for the first time in a long time. Naturally, the weather gods were not in favor of that, and soon sent drifting patches of clouds my way. Didn’t look like it would make much sense to set up the computer and camera, but there was enough clear (though hazy) sky for me to give the SynScan a try. I did my best to choose three stars that fit the rules outlined in the manual: “Alignment Successful.” To M3 in the west. Centered in the field. M15 in the east? Boom! There she was. Well, holy cow. Yeah, EQMOD is cool, but sometimes simpler is better. Up and down checks on the SynScan? I liked the way it beeps to indicate when the slew is done, but I didn’t like the display’s orange backlight—even dimmed down it seemed too bright. I did like the fact that the backlight cuts off after you haven’t pressed a button in a while. I did not like having to press enter twice to go-to an object. In toto, not bad, not bad at all. Last weekend I intended to get out and get my yearly picture of M13. As before, the weather gods were not amused. I knew before I left home that the haze, humidity and clouds didn’t spell “astrophotography success.” Y’all will be proud of me. I didn’t have a duck fit; I went to Plan B. This would be a good night to give the SynScan one last shakedown cruise in preparation for the (maybe) better skies of fall. And I had a theory I wanted to try out. Yes, I’ve finally accumulated enough astro-junk that my poor, beloved Camry has been outgrown. All the stuff went into the 4-Runner without a problem. There’s a lot more room, and the Atlas was significantly easier to load. He hasn’t got any lighter, but at least I didn’t have to lift him up over the lip of the Camry’s trunk. Out at our Tanner-Williams, Alabama site, I was glad I hadn’t dragged out a lot of imaging gear. It felt as hot at sundown as it had hours before. Without all the camera and cable and computer stuff to fool with, all I had to do was get Atlas on his tripod, the C8 on the mount, plug in the HC and power, and plunk my netbook down on the observing table (I wanted to take another look at Comet Garradd, and would let SkyTools 3 figure out the coordinates for me. With everything ready to go, I fired up the Thermacell to chase the bugs, and sat down to wait for Polaris to appear. When that star winked on, I powered up Atlas long enough to get the Polaris Hour Angle from the HC, adjusted the R.A. setting circle and the mount appropriately, and put the star in the little circle on the polar scope reticle. How accurate are these polar alignments? Undoubtedly not as accurate as a drift alignment, but neither do I think they are much worse than the computer alignments yielded by the Celestron mounts. By the time my fiddling was finished, there were obviously enough bright stars to allow me to complete the go-to alignment, too. How successful? Well, M3 was in the field if not centered. M15 was the same. So far, so good. Now for a test. Hardest thing for most go-to systems is objects fairly close to the horizon and away from the Local Meridian. Sagittarius’ M22 was both those things. Let’s go there. Crossed my fingers and toes and put a peeper to the eyepiece and saw—ABSOLUTELY NOTHING. Alrighty then. M3? In the field and better centered than before. M15? Same-same. Now for the kicker, M22. Almost in the middle of the 13mm Ethos. I had to admit the three-star had worked better. I had been told that the three-star works best if your polar alignment is poor, but that does not seem borne out by my experience. My polar alignment was pretty good based on the high power observation of declination drift I did later. I intend to give the two-star another try sometime; it's possible my star choices could have been better, I reckon. Be that as it may, the go-to alignment yielded by the three-star was superb. Every object I chose was in the field of the 13mm eyepiece, even with my Denkmeier Powerswitch diagonal’s reducer switched out and Celeste running at f/10. Yeah, the 100-degrees of AFOV does give you a lot of sky, but many of my go-tos were in the field of 80-degree AFOV 7mm at nearly 300x. Cannot beat that with a stick, muchachos. The rest of the evening? A relaxing tour of cool deep sky objects on a hot August night. I let SkyTools take me through many of the Ophiuchus globular star clusters—except for that stinking 14th magnitude Pal glob, or course. From there it was on to whatever took my fancy. I also ran the “tour” the SynScan generated for me. The Atlas effortlessly took me to at least 40 marvels. After a while I began to get put out when I had to occasionally switch in the reducer to bring my target into the 7mm’s field. Yep, that good and I was already taking it for granted. With Sagitta finally up out of the light dome I wanted to have another look at little Comet Garradd. He will be with us for a long time, but I was anxious to see this brightening visitor again. The question was how to do that. With the Celestrons you just enter the coordinates into “Go-to R.A./Dec.” Quite a bit of fumbling around with the SynScan failed to reveal a similar function, however. Till I came to “User Objects.” Entering the comet as a user-defined object wouldn’t be as easy as just going to a right ascension and declination, but I thought it would be workable. One good thing was that the procedure was easy to figure out; I didn’t have to drag out the manual, thank god. Coordinates in, I punched enter and the Atlas hummed his unassuming hum. When he stopped, I inserted the 27 Pan and had a look. There was the comet, not only showing a nice oval coma and a starry nucleus but a small, barely visible tail spread across a rich background of stars. I put Garradd at just a little dimmer than magnitude 7. If he’s this good now, what will he be like at his height in a few months? I think we got us a good one, folks. Just after 11:30 p.m., the rising of an old Moon and a fresh bank of clouds led me and my buddies to pull the Big Switch. Was I satisfied? And how. 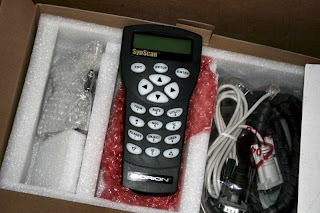 I’d seen a lot excellent DSOs and had proved the SynScan HC’s reliability to my satisfaction. I have no doubt that once we get some clear sky I will have a good time taking some of my humble “Instamatic astrophotos”. Will I still use the CG5 more, even now that I am happy with the Atlas’ HC? No doubt. It’s just too easy in every way. But when it’s got to be done right, the Atlas’ steady shoulders are up to bearing the load. This blog entry is not quite seven years old, not a huge stretch of time when you're talking about someone who's as set in his ways as I am (ask my friends). When it comes to the astronomy-gear part of life, however (well, and some other things too), I'm amazed how much has changed in those few annums. The big changes? My move from good, old Chaos Manor South in the downtown Garden District to the suburbs. That was shortly after my retirement--which offered a new perspective on astronomy and a lot of other things as well. There were physical changes as well as mental. I'm still hale and hearty in the extreme, but as my regular readers know, I foolishly injured my back about a year after my (early) retirement. I'm now suffering arthritic pain due to that injury. While it doesn't afflict me all the time--for some reason it tends to come on in the spring--I am now leery of lifting heavy stuff. So, the Atlas EQ6 was sold. Was I sorry to see the mount go? Sure. I hadn't used it a huge amount, I'll admit. I probably would have if I hadn't hurt my back, though. Living downtown, it was hard to convince myself to load the beast up for a few hours at the dark site. Out here in Hickory Ridge, I can leave a mount and telescope set up in the backyard for days during a stretch of good weather, and I'd undoubtedly have done that with the Atlas. Unfortunately, I found I could no longer risk setting the mount up at all--when I was putting it on its tripod to give it a check-out before selling it, I nearly hurt myself and also nearly dropped the mount. The Atlas also had had some strong competition for about a year, too. After the move to the suburbs I bought a Celestron CGEM, whose goto was considerably more accurate than that of the SynScan mount. I bought the CGEM to accommodate my C11, a NexStar 11 OTA, because I was hesitant to try to lift the big fork mount onto its tripod anymore. The CGEM with a Losmandy saddle and somewhat heftier counterweight bar was more suited to the C11, I thought. Unfortunately, the CGEM also became too heavy for me, and it followed Atlas out the door. In a final bow to the cruel fates, I had to send my beloved C11 OTA, Big Bertha, to live with a new owner, too. I miss the mounts, but sometimes I just can't believe Bertha is gone. How was the EQ6 doing before I got rid of it? The mount could be great or it could be frustrating. At times the gotos were great. Usually accuracy was good enough. At times it was downright lousy. 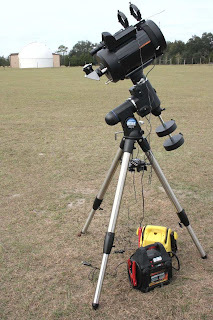 I got some great pictures with it one Peach State Star Gaze several years ago, but I had to struggle to find targets on one of my two nights--with a fast 80mm refractor onboard for God's sake. Most of that difficulty can, I think, be traced to me not using the mount often enough to ever get really comfortable with it. When I'd do a good polar alignment, be careful about putting the mount in home position, and be assiduous about choosing good alignment stars, the gotos would be fine. Then I wouldn't use the Atlas again for six months, forget all that, and be lost in space again. How was the tracking and guiding? That was never a problem. Even with a fast 50mm guidescope, RMS guide errors were always under 2", which was more than good enough for me. And that was before I discovered the joys of precise polar alignment with Sharpcap. I never did a PPEC recording on the mount, either. How about EQMOD? It could give results every bit as variable as the HC. I ascribe part of the problem to, again, me not using the set up enough to ever be adept at it. I would maybe fire up EQMOD once a year. I suspect my early revision motor control board also contributed to the mount's occasional contrariness with EQMOD, too. Still, I do miss the big lug of a mount sometimes. It has gone to a good home, though, and is getting used. I would certainly not have any reservations about buying another EQ6 mount. If they'd been able to cut ten pounds off the weight of the new and considerably improved EQ6-R, I'd no doubt have bought one to replace the Atlas and CGEM--the price sure is nice. They didn't, however, and I'm very happy penny pinching old me bit the bullet and bought a Losmandy GM811G instead. Yep, with a Gemini controller. But this mount has the Gemini 2, which is indeed very user friendly and superior to anything I've used from Synta or Meade or anybody else. Otherwise? I haven't been to the dark site in a long while. 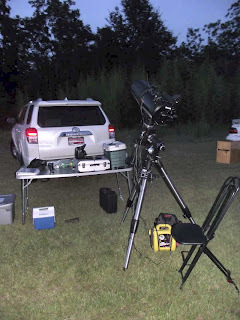 When you can do pretty decent observing and even imaging from your comfortable backyard, it's hard to convince yourself to pack up a truck full of junk for an evening with the mosquitoes. Also, given the current nasty weather patterns, there's not much reason to drive 20 miles just to sit under hazy and often cloudy skies. That's part of the reason I haven't been down to the Chiefland Astronomy Village in a long time, either. I thought about doing the Winter Star Party when it was held there this year, but as I suspected would be the case, the weather didn't cooperate at all for the event. I was happy I'd stayed home and avoided the drive and the expense. The final verdict on Atlas? The mount always brought home the bacon when I needed an image for a book or magazine article. If there's higher praise for a piece of astro gear than that, I don't know what it is. I was skeptical. I was going to fly up the east coast to Dulles International Airport in Washington D.C. just ahead of Hurricane Irene? And fly back out right after she had passed? Yeah, I was skeptical, but I decided to take a chance, anyway. Why would Unk do something dumb like that, muchachos? Because I didn’t want to give up my opportunity to attend the 2011 edition of one of the nation’s best star parties. 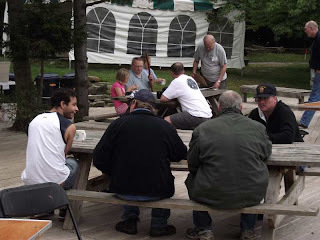 Lord knows why, but the organizers of the Almost Heaven Star Party, sponsored by NOVAC, the justly famous Northern Virginia Astronomy Club, decided to have your silly old Unk up once again to serve as one of their speakers. I have always had a wonderful time at AHSP with their great people and great facilities and was loath to give that up this year. 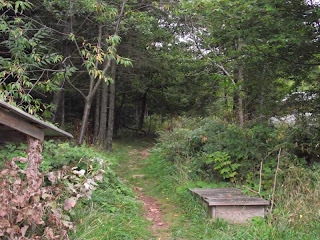 AHSP is held on the top of Spruce Knob Mountain in West Virginia at a Mountain Institute facility there, which would be well out of the direct path of the storm. That wouldn’t help much, however, since there is only one practical way to get to the event: fly into Dulles and drive into the Mountains of West Virginia. The good news was that it looked like my timing would be as perfect as could be. Flying into Washington Friday, I’d be well ahead of the storm. If the weather-goobers’ predictions held true, Irene would have passed DC by the time I was to leave on Sunday, and, theoretically, the airlines would be flying again. Star party honchos Bob Parks and Kathryn Scott assured me I’d be fine. Worst case scenario? I’d be stuck at Almost Heaven till Monday. Throw me into the briar patch, Brer Fox. From what I could gather from the weather forecast for the closest town to Spruce Knob, Circleville, West Virginia, there would be plenty of clouds Friday night and gale conditions Saturday, but clearing Sunday - Monday. My experience is that you never get better, cleaner skies than you get in the wake of a big storm—someday I’ll tell y’all what I saw with my StarBlast the night after Katrina. I teach my university astronomy lab on Monday night, and I would have hated to cancel it, but if I had to, I’d just HAVE TO. Come Friday morning, I was up early to pack. Was I a little nervous? Yep. I had no idea what was happening with the airline system. Would there be huge delays? As y’all know, any adverse event anywhere tends to immediately cascade all across our rickety air-travel infrastructure. But air-travel wasn’t my only concern. What if the weather were so bad Friday afternoon that the club member detailed to pick me up at the airport couldn’t make it? I tried to stop worrying; what would be would be. I’d just soldier on in the face of potential adversity as I always do. The two rules most of us traveling astro-authors hew to are BE PROFESSIONAL and BE RELIABLE. I’d promised I’d be there and I’d dern sure be there if that were within my power. Resolved to press on, I felt a little better—till I got to Possum Swamp Regional Airport. My last time at AHSP I’d been foolish enough not to bring a heavy coat—it gets cold in the West Virginia mountains, even in August—this time I had one, which necessitated checking a bag. When I gave the nice lady at the counter my boarding pass, she took one look at it and frowned. Rut-roh. My flight out of Possum Swamp was delayed for an hour. Not because of weather, but because of mechanical difficulties. Which meant I would miss my connection in Atlanta. Which meant I’d be several hours late getting into Dulles. The agent booked me on the 3:55 p.m. flight to Washington, but also put me on standby on one leaving ATL at 1:15, which would get me into DC only an hour later than originally planned. She told me not to get my hopes up, though, since the earlier flight was completely full to the point of “overbooked.” AHSP 2011 sure was off to a hell of a start for me. While cooling my heels at the MOB gate, I played “what did I forget?” Had my coat this time. Red flashlight? Check. PowerPoint remote clicker - laser pointer? Check. Telescope? Nope. I’d originally planned to tote my cute little Orange Tube C90, Stella, with me, but the forecasts for Friday night and Saturday night were poor and getting worse, so I demurred. I did throw a pair of Celestron 10x50s in my bag in case there were sucker holes. Had my netbook computer, of course. iPod, too. Cell phone? Yeah, though once you get to Spruce Knob, which is not far from the NRAO at Greenbank and smack in the middle of the National Radio Quiet Zone, one becomes a paperweight. I eventually made it to Dulles on the usual hot and crowded but short commuter flight out of the Swamp. At the gate for my standby flight, I was told right off the bat that it didn’t look good. I decided to hang out in the area anyway and see what happened, and with an hour to kill I wandered around the concourse. ATL’s fast food selection is better than ever, now featuring BOTH Checkers burgers and Popeye’s fried chicken. Needless to say, lunch was not a problem for your Uncle. I also noted Hartsfield now has “mini suites,” small motel-room accommodations right inside the airport. If I couldn’t make it to Washington or back to the Swamp, that might be a welcome option. I am way too old to sleep in airport chairs. When the 1:15 flight was called, I was told “so sorry” and trotted off to my 3:55 one. I’d been able to communicate with both Ms. Scott and with the person detailed to pick me up and drive me to the AHSP, Elon Garfinkel, so I hoped everything would be well at the Washington end despite my late arrival. What did I do with another couple of hours on my hands? I spent it with James Swanson’s book, Bloody Crimes, the true story of the funeral procession(s) of Abraham Lincoln and the flight of Jefferson Davis from fallen Richmond. Yes, I am on a Civil War jag again, and Bloody Crimes was made all the more interesting by the fact that Jefferson Davis’ wife, Varina, a distant relative of Unk’s, is featured prominently. The book made the hours pass with amazing quickness, my flight out of Atlanta was on time, and other than extremely long stretches of extremely bumpy air the trip was without incident. Ah, the life of an astro-writer! On the ground in Washington, I retrieved my bag and called my ride. Elon assured me he’d be along directly, so I stood out in front of the Delta baggage claim area and waited. And waited. And waited. Finally, he showed. Turned out his car battery had died on him, and he’d had to get a jump. Was this trip CURSED? The rest of my journey to Almost Heaven was smoother. The only challenge was negotiating those West Virginia country roads in the dark. As we neared the site, it was getting close to ten p.m. Eventually, the GPS instructed us to “TURN RIGHT!” Unfortunately, there was nothing to turn right onto. We did a little cruising back and forth, but located the correct road without too much fuss. After negotiating the long and occasionally rough final stretch up the mountain, I was HOME. That’s what it felt like. Kathryn and the AHSP’s chief cook and bottle-washer, Phil Wheery, got me settled. Kathryn, knowing my silly and forgetful ways, had a flashlight for me that was bright enough to allow me to navigate in the dark without going you-know-what over teakettle. Yeah, I’d brought a light, but it was an observer’s light and not bright enough to help me avoid the rocks and ruts of the Mountain Institute. I dropped off my stuff in the yurt where I’d be staying, and headed for the field. First order of bidness? SEE SOMETHING. It was good and dark, of course, and while they were quickly closing, there were still a few sucker holes, including one that allowed the Milky Way to shine through with at least some of its accustomed brilliance at this site. I was treated to a lovely view of M13 through an Ethos-equipped 30-inch Dob, and, needless to say, the Great Globular looked great, even if it wasn’t as great as it should have been from Spruce Knob in such a large and fine instrument. I trotted on down the field, drawn by the sound of laughter in the dark and stumbled on a group of friends who were yukking it up, waiting to see what would happen to the sky. They invited me to have a sit and a beer, and you can bet I did both. Not only was the beer (and the malted milk ball COOKIES) good, these nice folks were kind enough to keep feeding them to me and keep listening to the continual stream of foolishness I offered in return. Chris: Dolly Madison still drools; Little Debbie RULES! And so it went for an hour or so, till it began to get a little chilly. 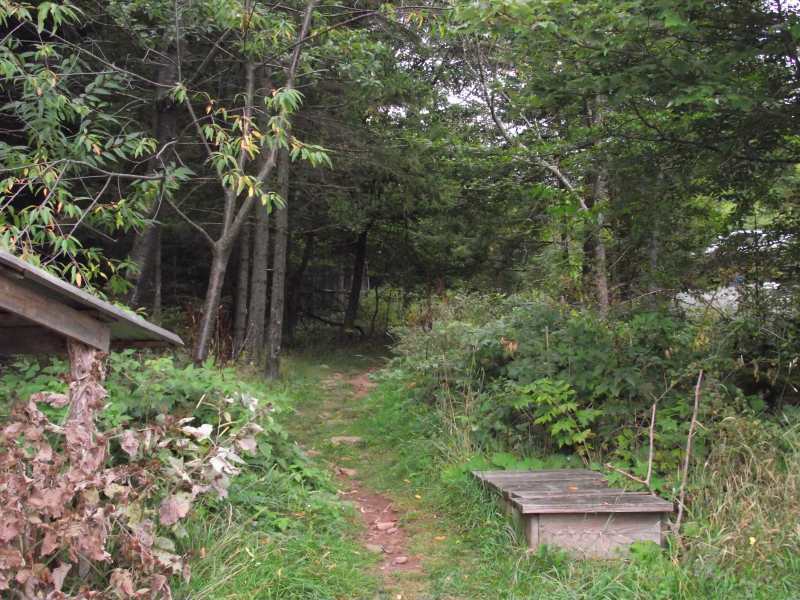 Summer is already dying up in the Appalachians, and, naturally, I’d left the jacket I’d packed back at the yurt. I was offered the loan of a coat, but it looked like it might begin raining at any minute, and I was also undeniably weary after the travails of a day spent enjoying the U.S. air travel “system.” Back I went for night-night time. Yep, I was staying in a yurt. An actual “yurt” is the peculiar round/multi-sided tent that originated on the steppes of Mongolia. 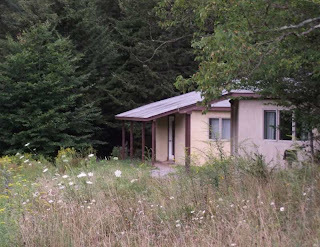 The buildings and cabins at the Mountain Institute are not really yurts in that they are not felt-tents, but that was the inspiration. The yurt I was in was a modern, clean, dry, and snug dormitory. I fell into my excellent bed and knew no more till almost 8 a.m. the next morning—which is awful late sleeping for the Rodster. I had awakened once briefly in the early hours and peered out the window, remembering the beautiful vista I’d had the previous year of Pegasus flying into the west. Not this time. The sky, like the land, was as black as the inside of a black cat at midnight. So when I got up I wasn’t surprised to see it had barely dawned. Thick clouds covered the sky, making everything dark and dreary. Not a surprise and no need for disappointment. There’d be good talks and good people to occupy my day. 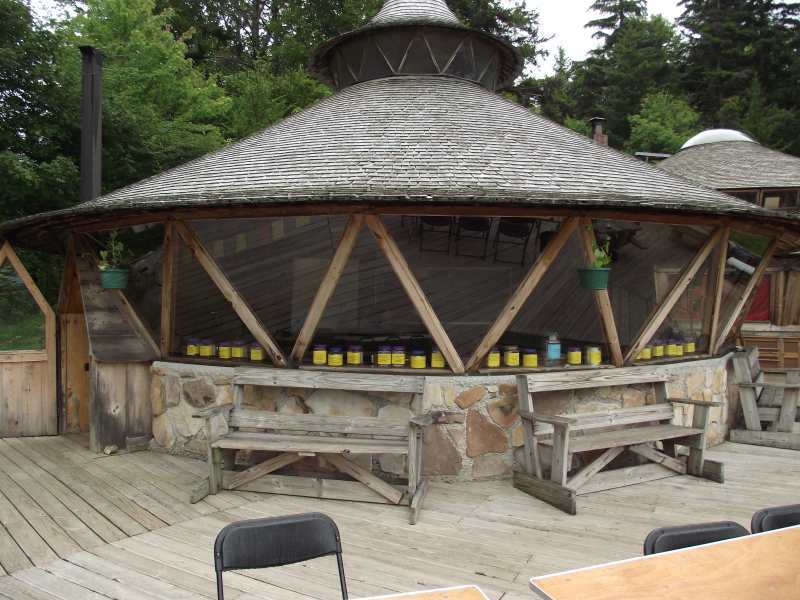 The first thing on my agenda, though, was good food—breakfast—so I hustled down to the Big Yurt, which is actually two yurt buildings pasted together to house the site’s kitchen, office, and auditorium. It is surrounded by a large deck that offers a beautiful 180 degree view of mountain scenery and which is perfect for outdoor dining. When it’s not raining, which, luckily, it wasn’t at the moment. Meals at the Mountain Institute tend to the “healthy” side and that is good, I suppose. What was better was that at breakfast Saturday there was also plenty of BACON. I mean, it really doesn’t get much better than that does it? I had a tablespoon of eggs with my bacon, and even though there were no grits I was intensely happy with the star party grub. My thoughts next turned to the condition of the AHSP. Looking west to the observing fields spread before me, I could see plenty of tents and tarp-covered telescopes. Not as many as last year, but an amazing number nevertheless considering the presence of Hurricane Irene nearby in the Atlantic. 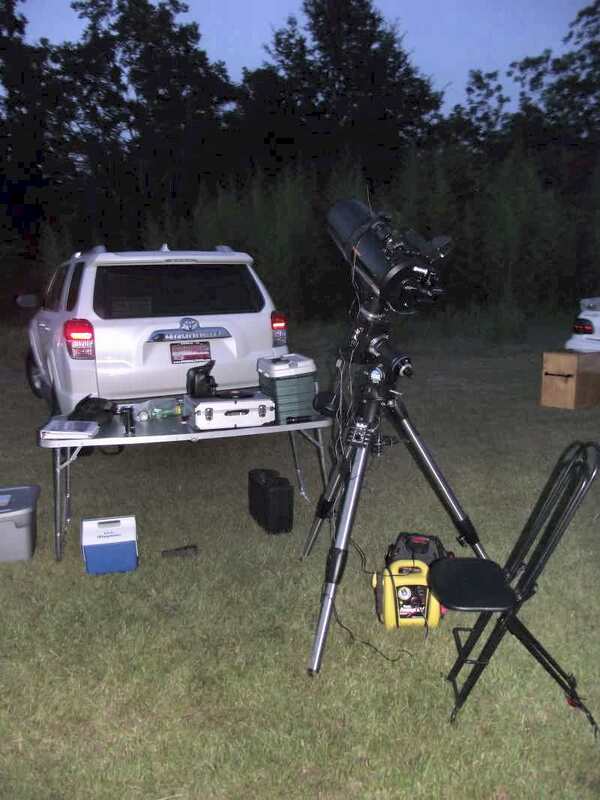 The star party was once again sold out, and I expected more observers would arrive Sunday with the promise of clear skies. For now? We all sat around looking at satellite weather maps and wondering. Well, some of us wondered. I knew there would be no way I would see a blessed thing Saturday night, and, since I had to leave Sunday, I focused on those other parts of the star party equation: people and presentations. I had been very much looking forward to Kelly Beatty’s talk, “The Sputnik Years,” a subject near and dear to my heart. He had, alas, not been able to make it in from Boston, the airlines being pretty much shut down up there. This being the modern age, Kelly was able to email his PowerPoint to Phil and give his talk Friday night via a speakerphone. I missed it, being in transit on those country roads at the time, but the people who heard it loved it. Kelly is as gifted a speaker as he is a writer and editor. There was no shortage of excellent presentations Saturday morning and afternoon. 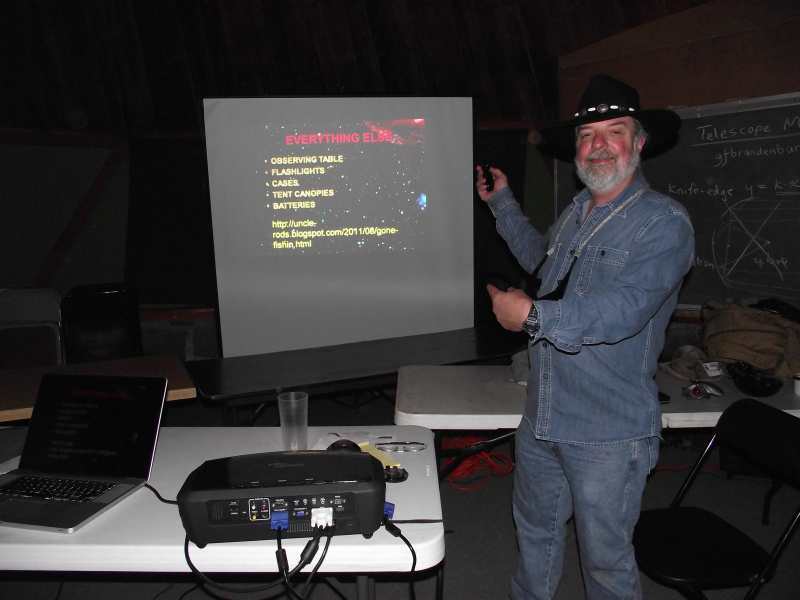 First was ATM guru Guy Brandenburg with an excellent talk on Newtonian mirror making, which included a hands-on demo of rough grinding and a Ronchi tester set-up Guy used both to edumacate the newbies and to test primary mirrors brought in by star partiers. I am pretty sure he lit the glass-pushing fire in a couple of novices—and maybe even in some not-so-novices. Next up was an impressive presentation on beginning astrophotography. I didn’t get to hear all of it, since I needed to spend the time putting some final touches on my own program, but I what I did hear was informative and well received. This talk was a last minute addition not listed in the program, and scatter-brained me is unable to pull up the speaker’s name on this Monday morning, but he did a nice job. I wasn’t scheduled to go on till seven p.m., so what did I do once I was finished working on my simple slides? The Herschel Project. I still needed to record my observing notes from Nights 24 and 25 in SkyTools 3’s logbook. That was easy enough to do by copying then from the Word document in which they resided and pasting them into the ST3 log. That done, I was finally able to close the book on our latest Chiefland expedition to the tune of nearly 150 new objects. What else? Wandered around. Took the pictures you see here. Looked in vain for vendors, but, not surprisingly with a major storm in the offing, there weren’t any. Astro-gizmos had promised to show up before all was said and done, but had not appeared by the time I left Sunday morning. Which maybe wasn’t a bad thing. It is never a good thing for me to be at a star party with a wallet full of credit cards and dealers showing off lots of play-pretties to buy. The U.S. rep/vendor for the increasingly popular ATIK CCD cameras was on site, and I wish I’d been able to talk to him on Saturday, but never got the chance. Late in the afternoon, I put my raffle tickets in the jars without much hope. Without my lucky charm, Miss Dorothy, with me at a star party I’ve never won a blessed thing. Even when she is with me, she’s usually the one who gets a big prize. Why “jars”? AHSP does their raffle a little differently from what I’m used to. Each jar is marked with the name of a prize, and you put your tickets in the jars of the prizes you are most interested in. I think that is a cool idea. I was pleased to be able to spend a little time with my friend and ex-Possum Swamper, Lyle Mars, and his lovely family Saturday afternoon. One day I will convince these talented amateur astronomers, Lyle, Carolyn, and son Will, that we need them back Down Home. While I’d expected Saturday to drag, it literally flew by. In part because I had not come close to adjusting to the change from Central to Eastern time, and in part because there were so many nice amateur astronomers to shoot the breeze with. 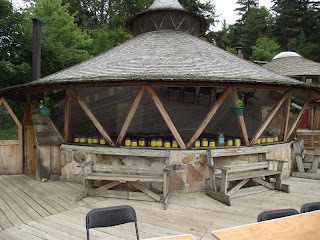 When I became a little tired in the late afternoon, I parked myself on a bench on the deck of the Big Yurt and drank in the pure (if now humid) and cool mountain air. The weather did not improve as the day wore on; in fact, it got worse. The “feeder band” cloud patterns of Friday night had morphed into heavy overcast with nasty looking cloud banks moving through with incredible speed on storm-driven winds. 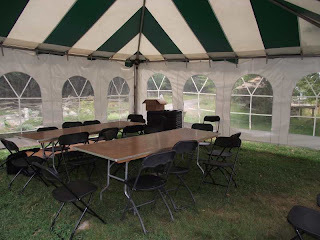 At least—with most attendees in tents—winds at the surface weren’t blowing hard and the rain was still holding off. That was about to change. We made it almost through supper before the bottom fell out. 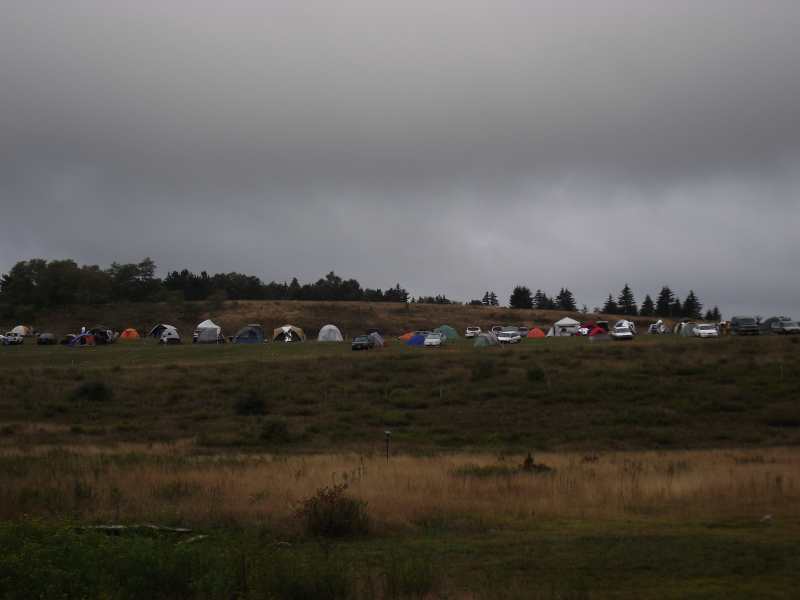 Just as a long line of AHSPers formed on the deck for ice cream with all the fixings (have some ice cream with your chocolate sauce), the rains came, sending everybody scurrying into the Big Yurt. More ice cream was set up inside, but I’d already had a hamburger, a hotdog, beans, slaw, and chips so I was set. I had the slightly queasy feeling I sometimes get just before going on and I didn’t want to make that worse. I took the stage at 7 p.m. for my talk “Amateur Astronomy on the Cheap.” This novice-centric presentation about today’s inexpensive commercial telescopes and accessories was one of the best-received talks I’ve given in a while. Partly that was because AHSP, in addition to having a cadre of incredibly experienced and talented amateurs, always hosts plenty of novices and, best of all, novice families. NOVAC is obviously doing a great job of bringing new amateurs into the fold, and a presentation aimed primarily at new folks was a good fit. I ran on for about an hour, followed by 30-minutes of questions from excited novices and other audience members. When I was done I was completely wrung-out but on a high. It was still raining off and on, so I couldn’t walk out to the field, but I was hardly ready to go to bed until I’d wound down a bit. I did that by sipping a can of “sarsaparilla” while sitting in the now-deserted tent that had been the satellite venue for my talk. What did I ruminate on? On what an amazingly good time I’d had despite my initial misgivings and how tempted I was to get on the phone with Delta and change my reservations to Monday. I wanted to, but in the end demurred. I needed to get home to work and teach. I trotted to the yurt between squalls and drifted off to the tune of rain on the roof. 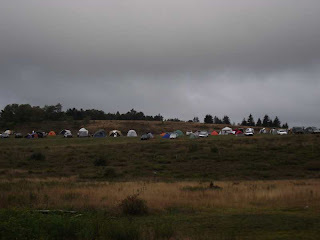 When I awakened early Sunday a.m. and headed to the Big Yurt, I halfway expected to look out on a sea of downed tents. Luckily that didn’t happen. As it usually does, the Mars family tent did go down in gale force winds, but most tents and everybody’s telescopes withstood the brush of Irene. All too soon I was back on my way down the mountainside for another year. My thanks to Kathryn and Phil for making it another great experience. And to Elon for going above and beyond the call of duty in ferrying me hundreds of miles to and from the airport. And to the AHSP rank and file, who were, as usual, just so darned nice to this old hillbilly.